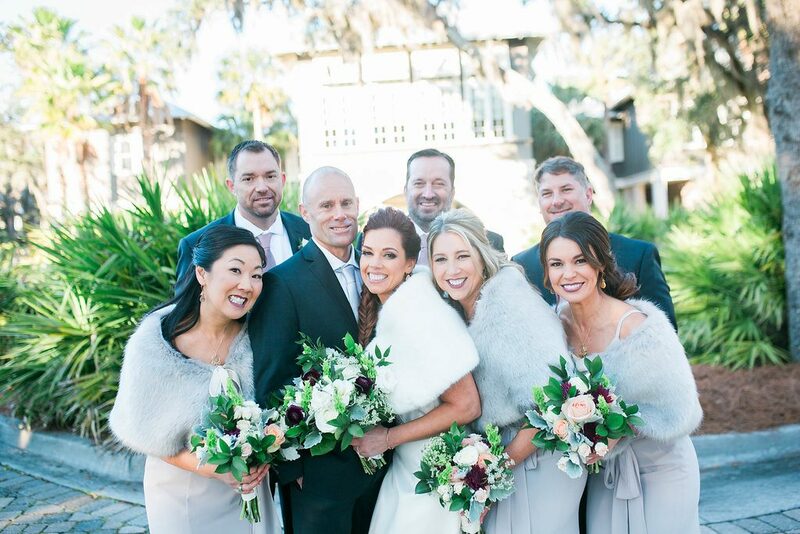 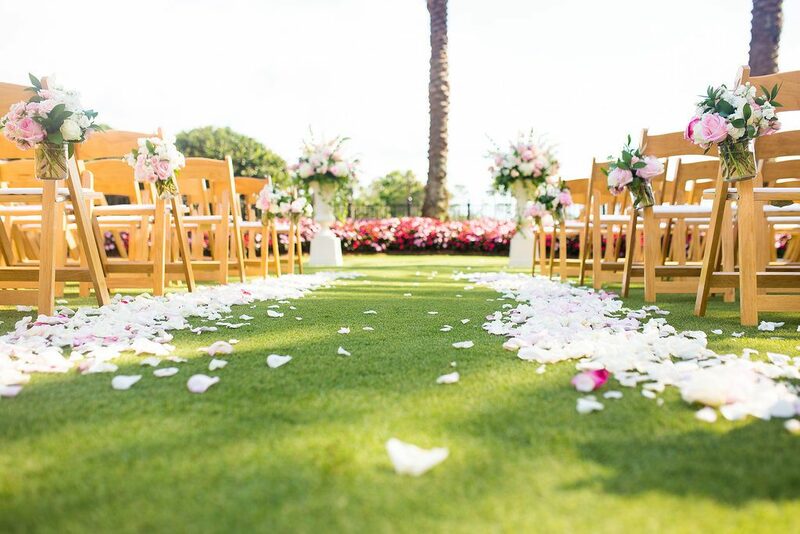 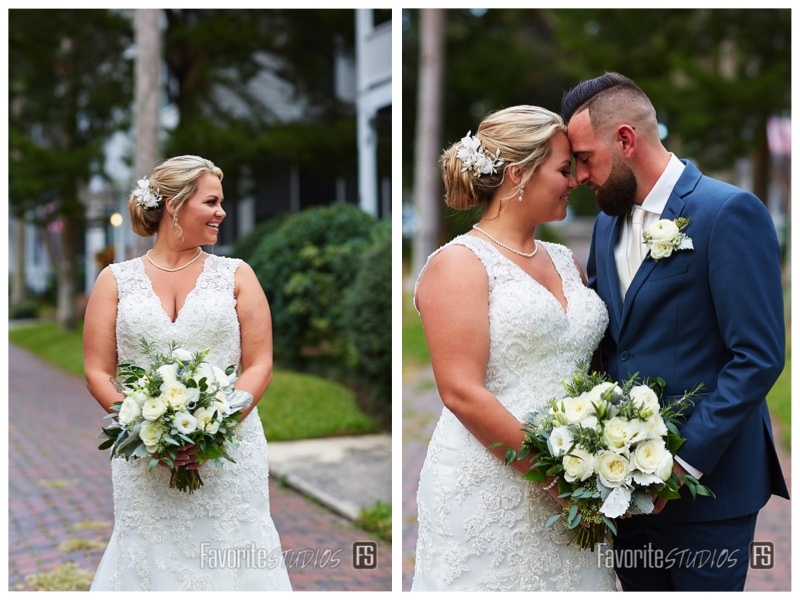 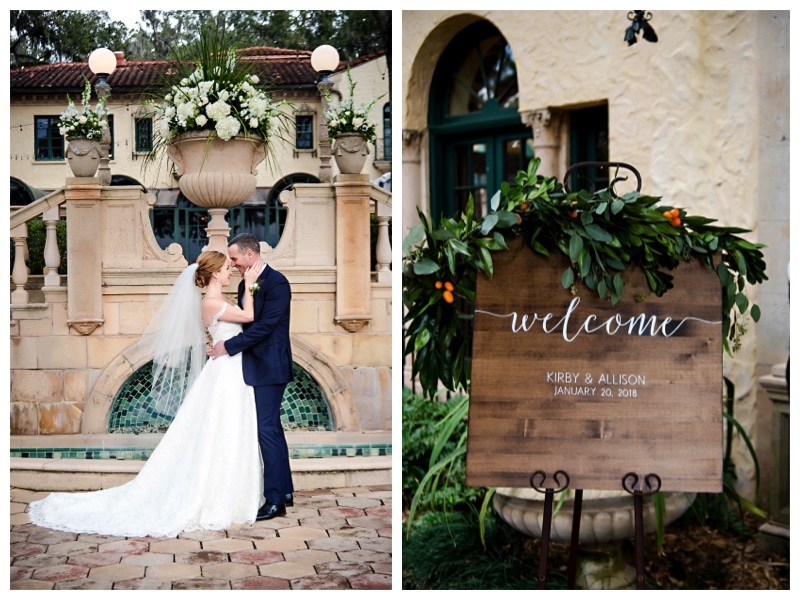 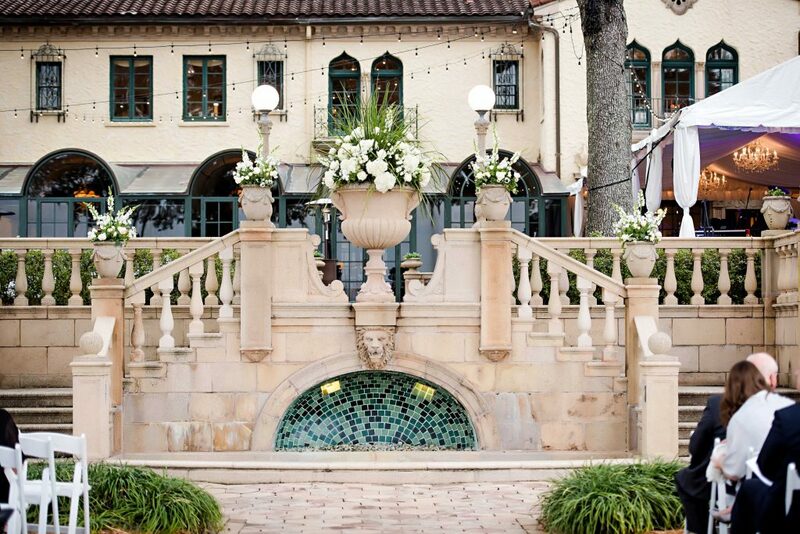 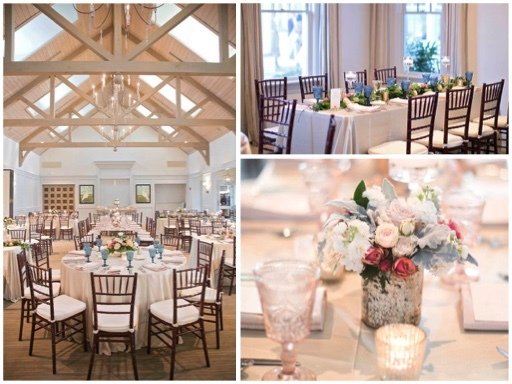 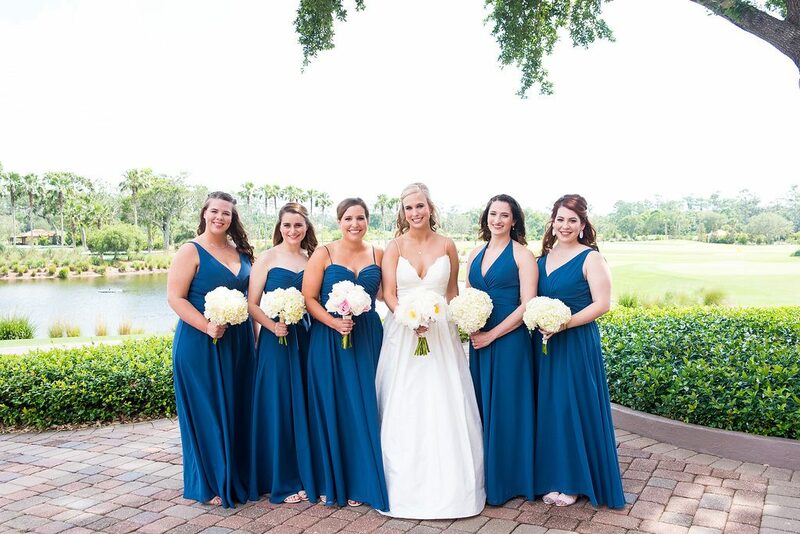 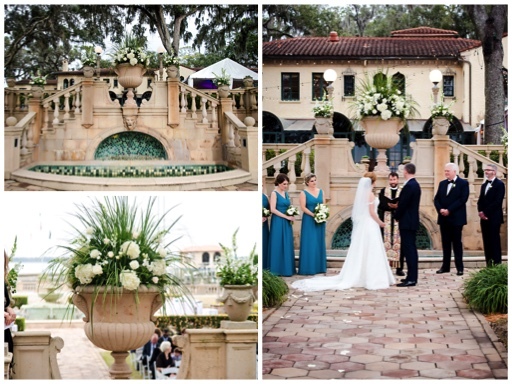 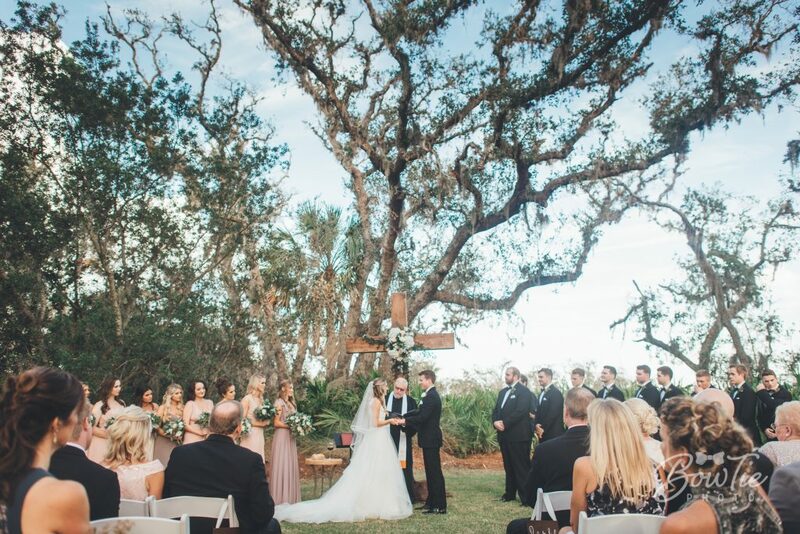 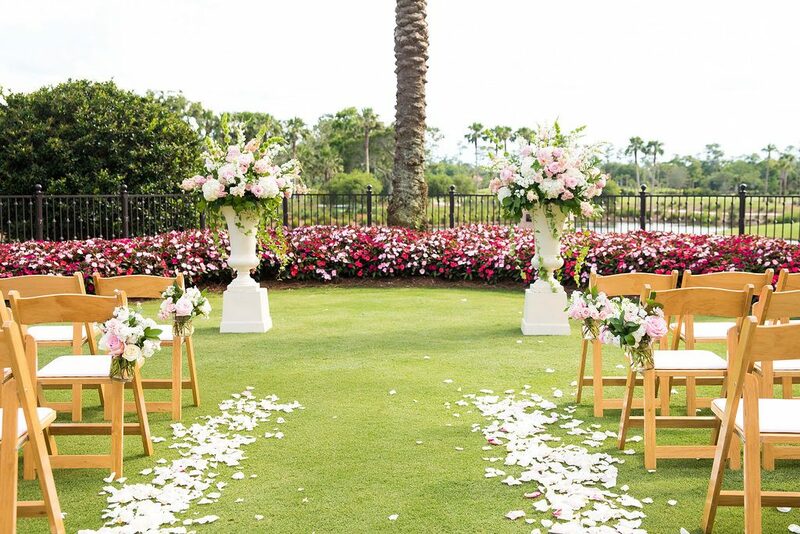 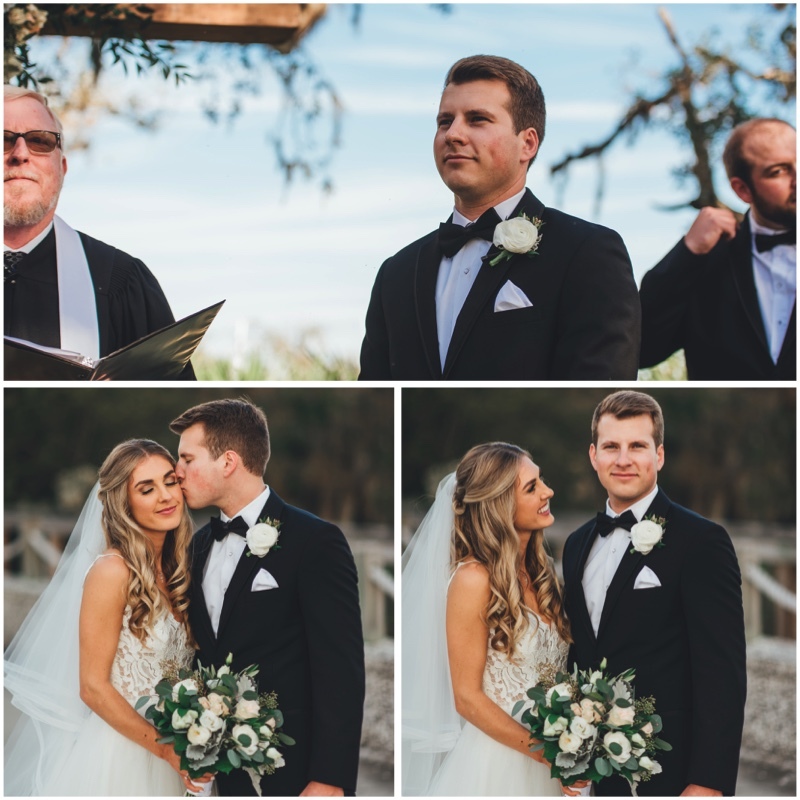 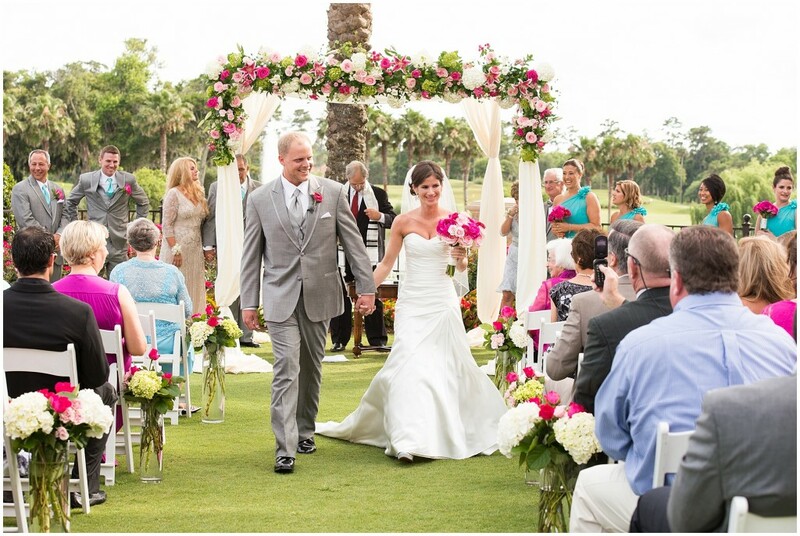 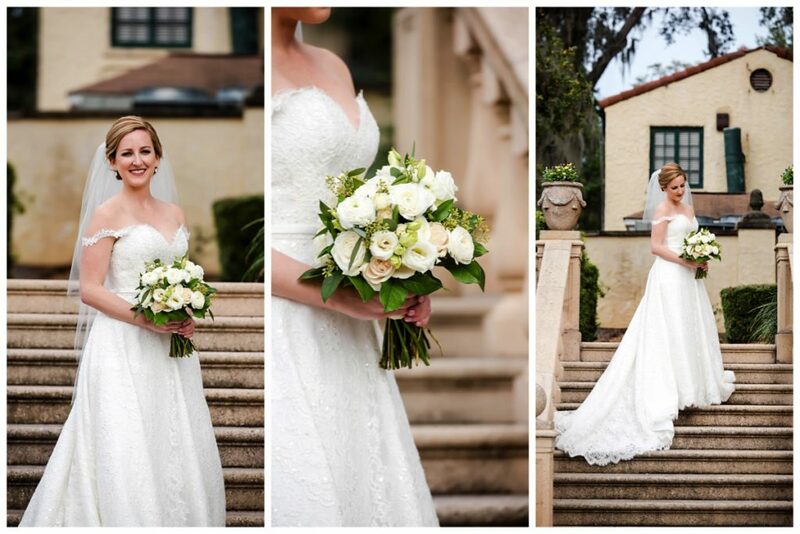 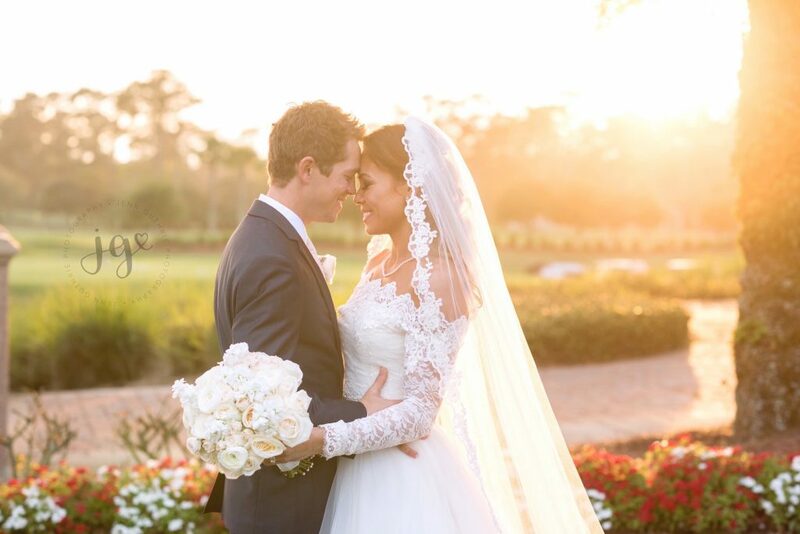 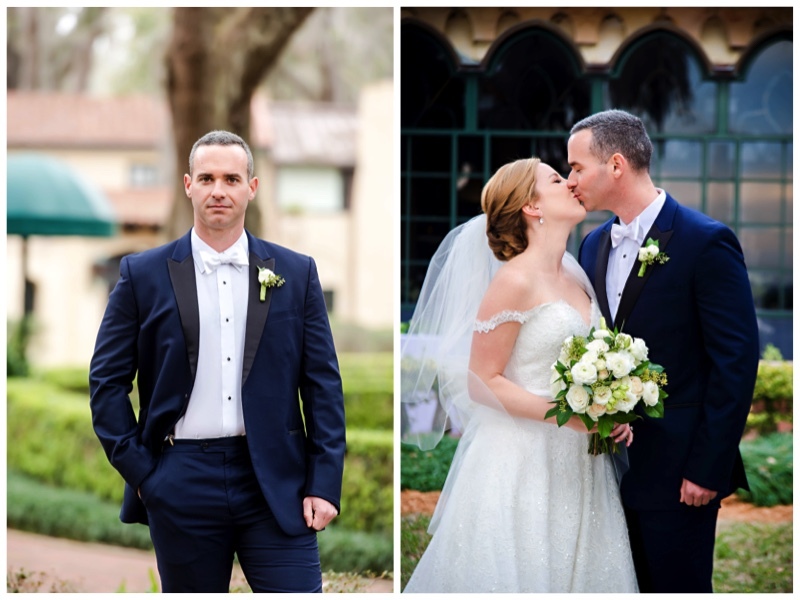 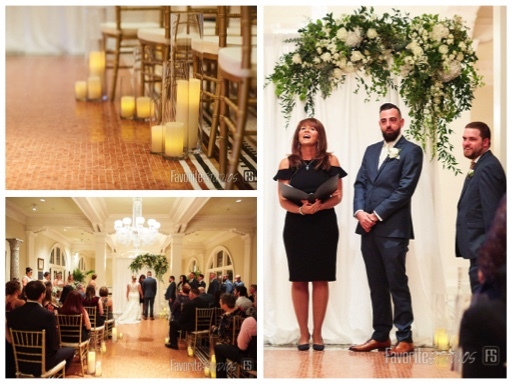 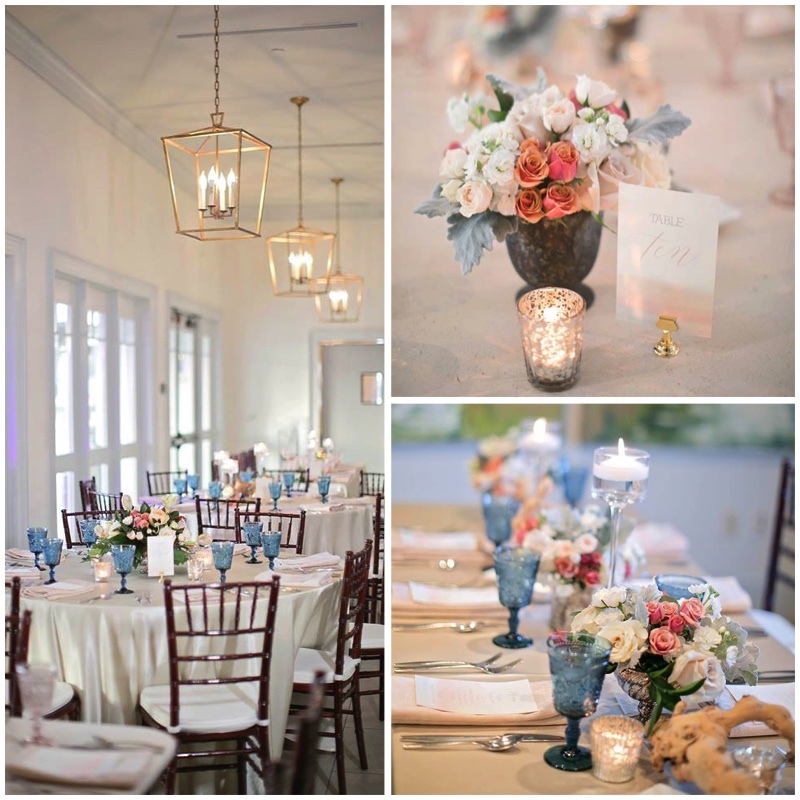 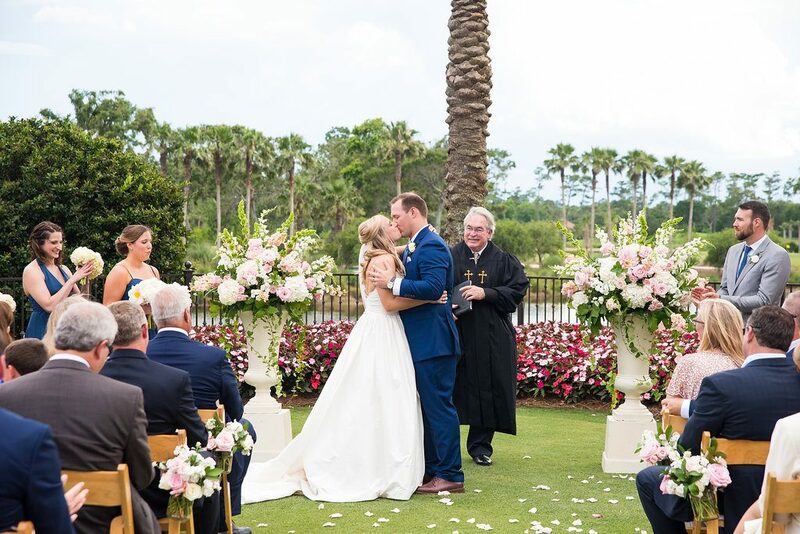 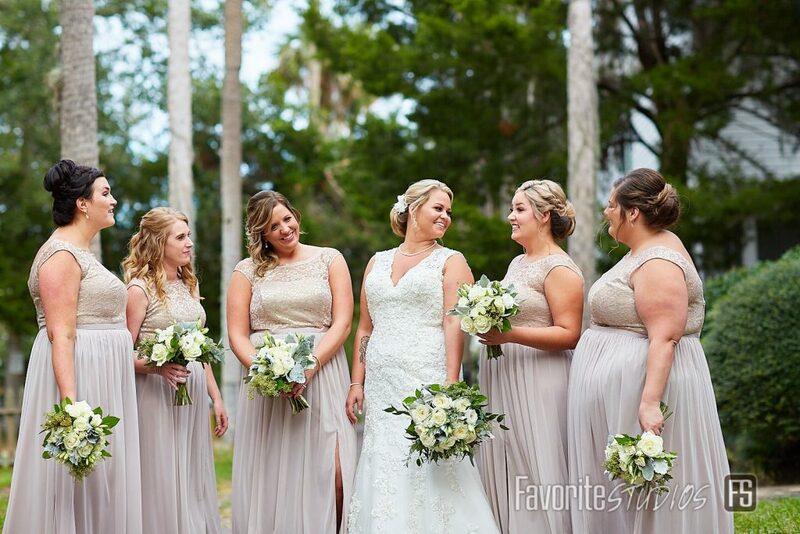 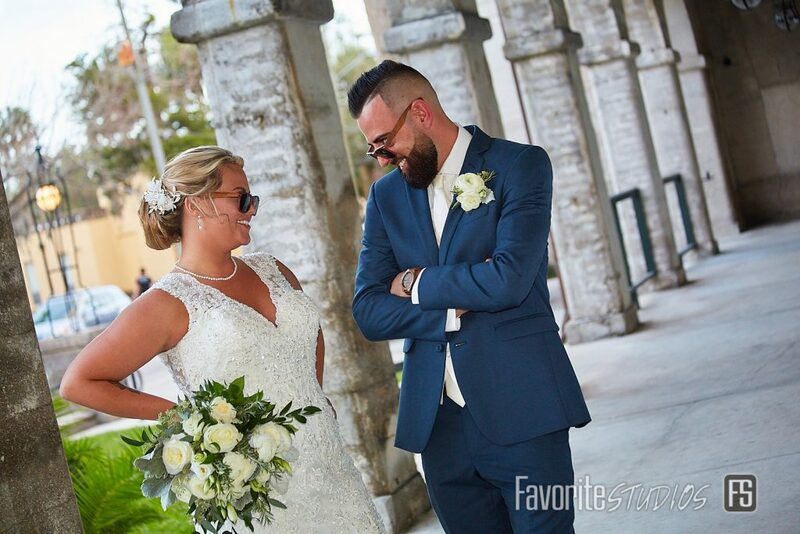 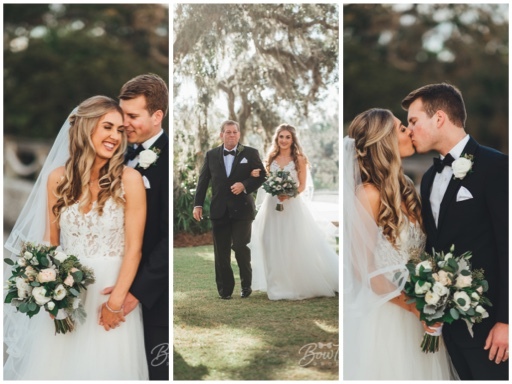 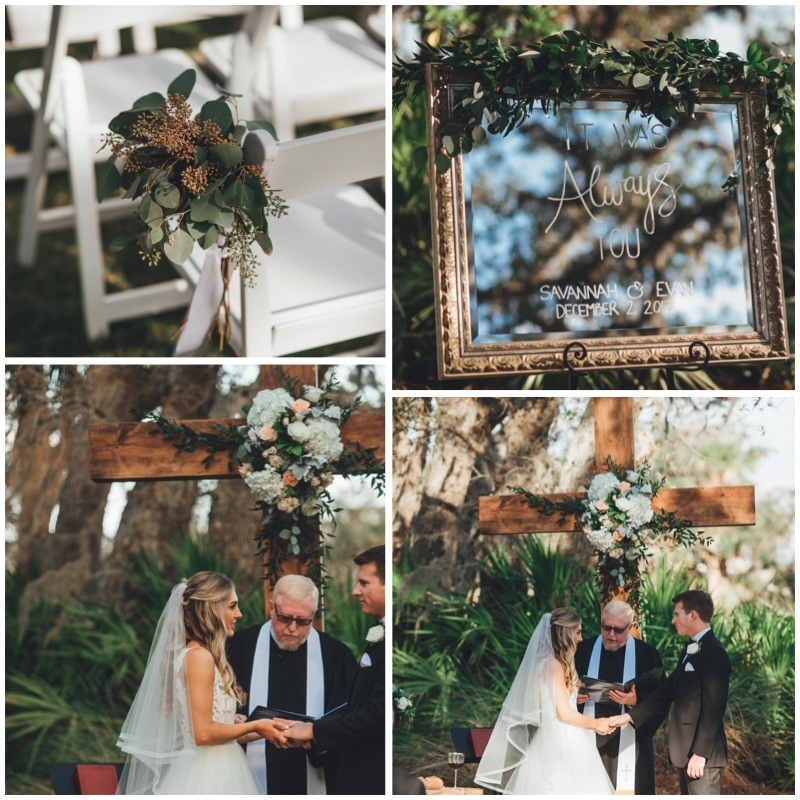 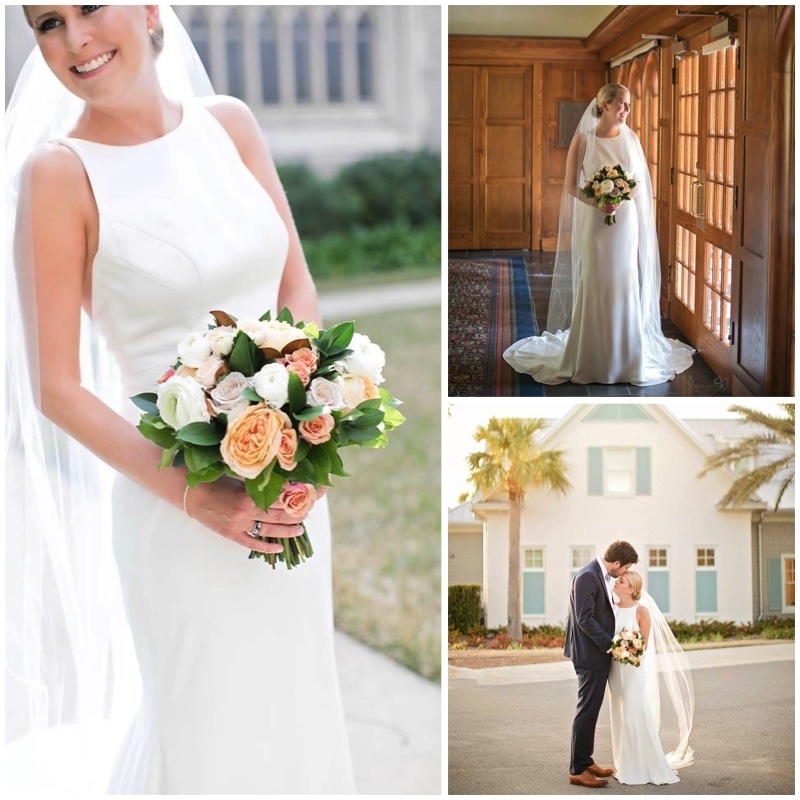 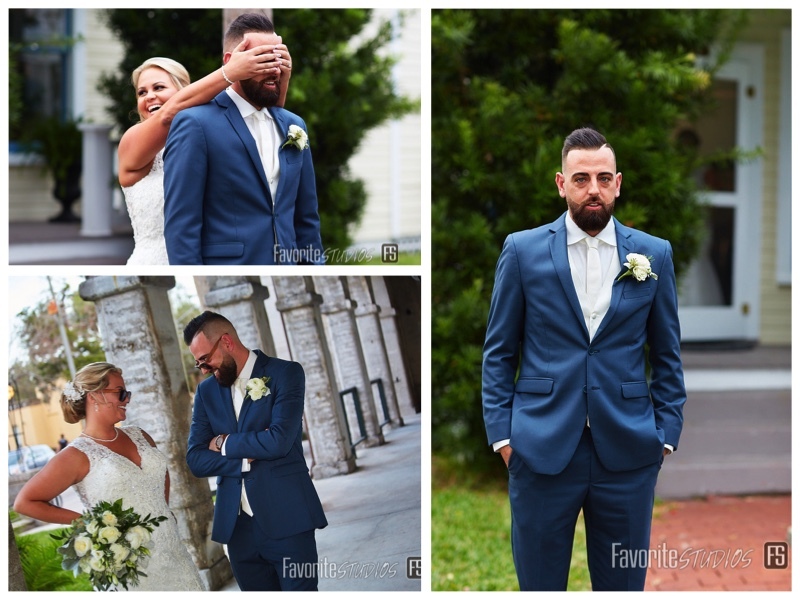 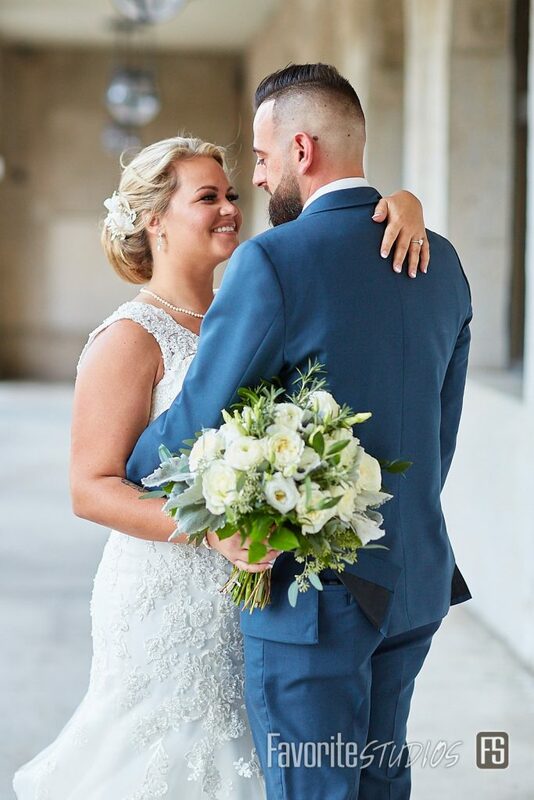 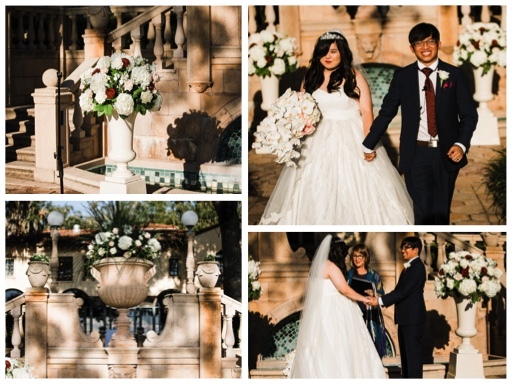 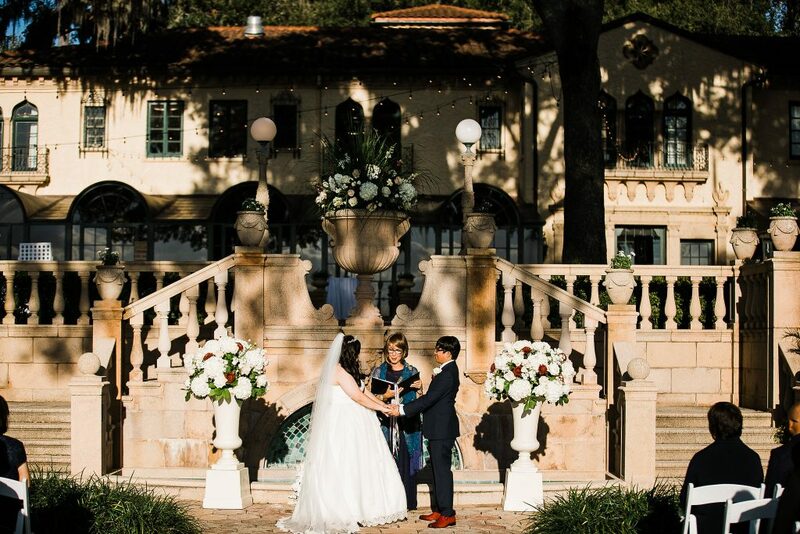 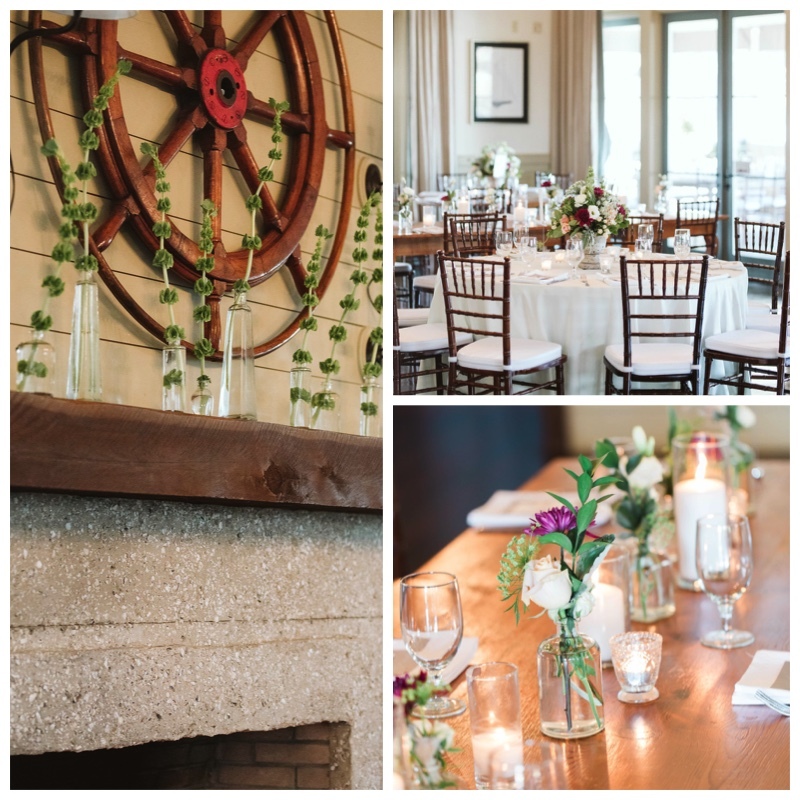 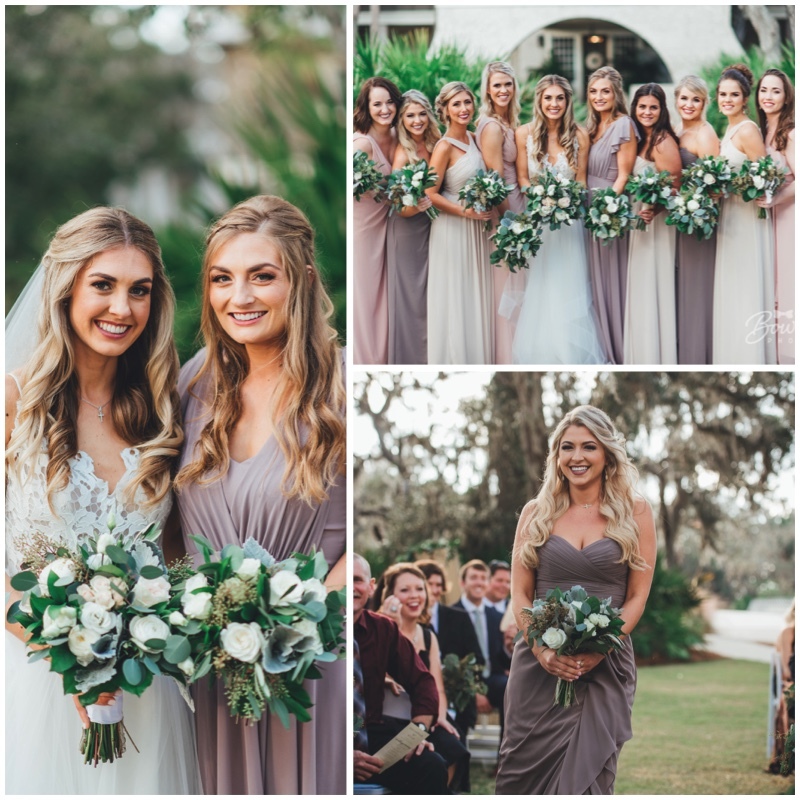 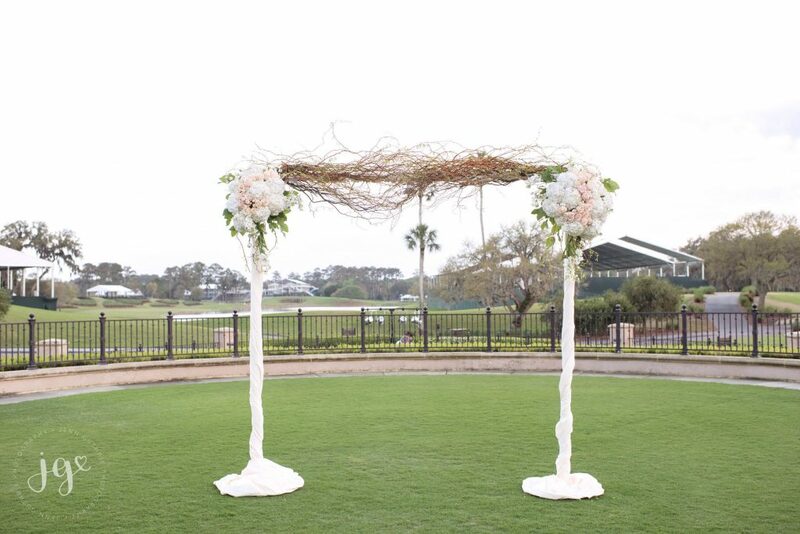 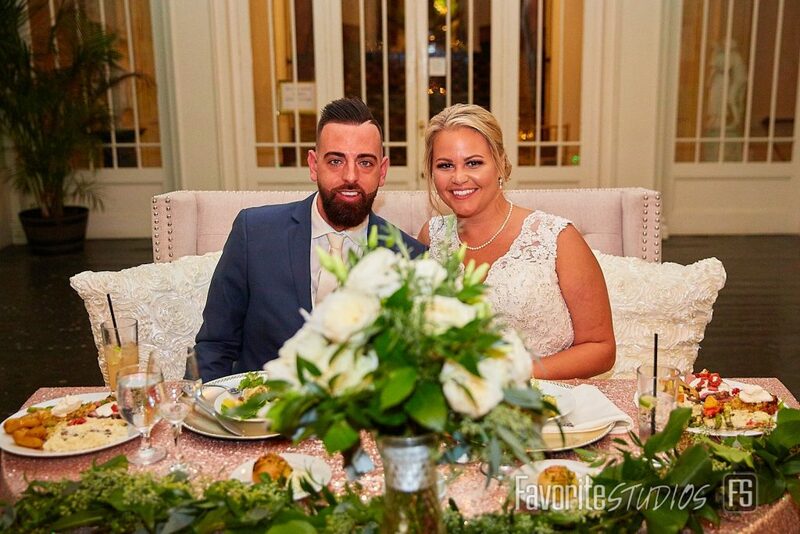 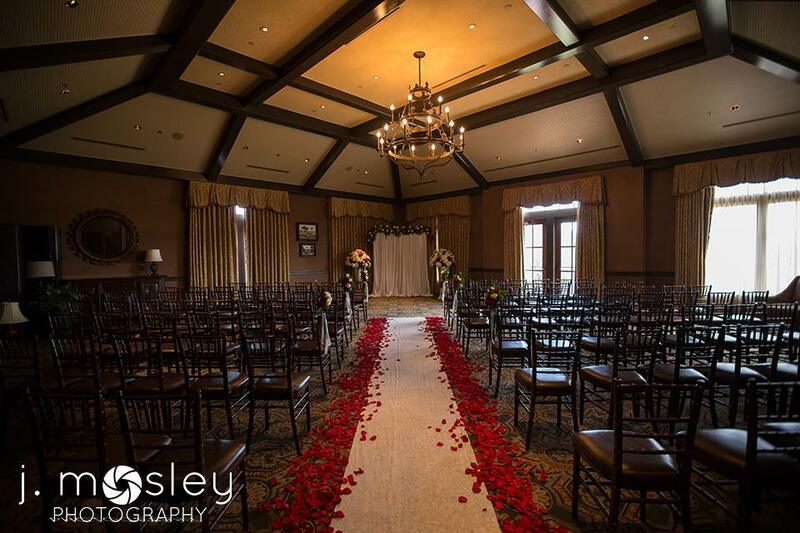 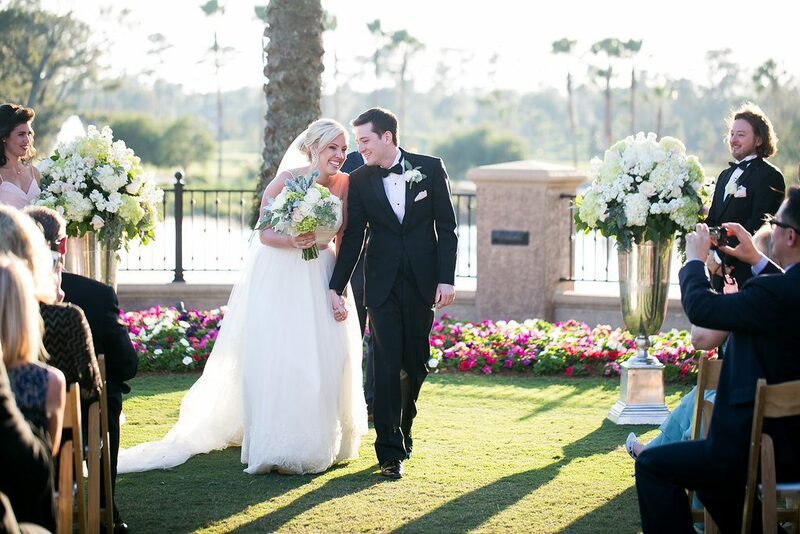 Sarah and Will had an outside ceremony at the Casa Marina Courtyard, followed by a reception in the ballroom. 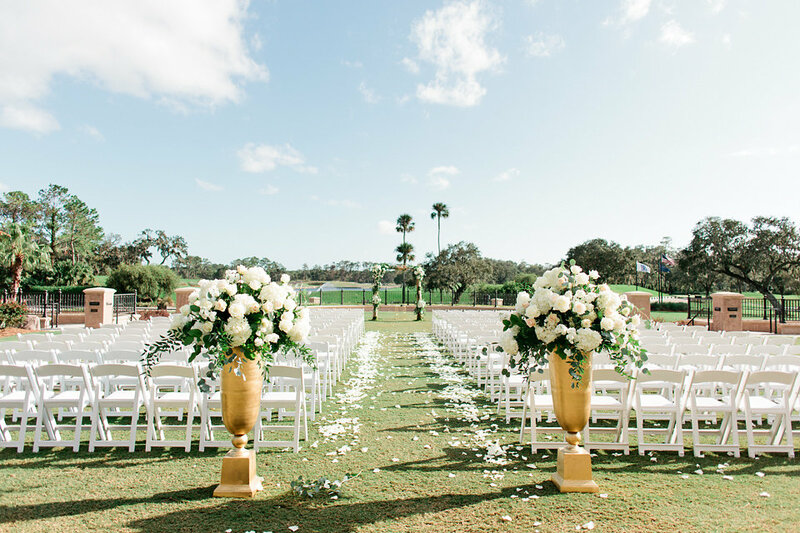 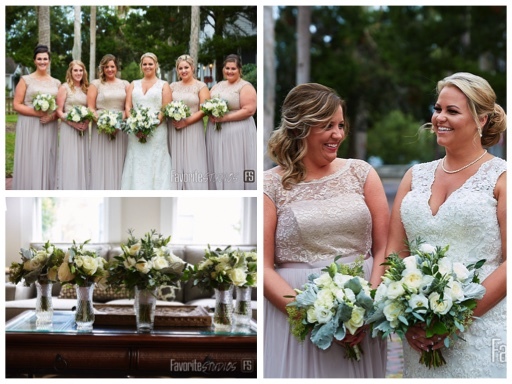 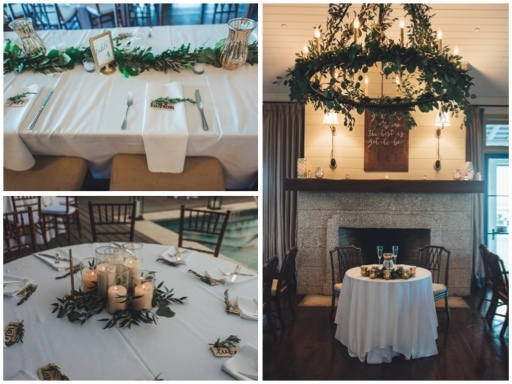 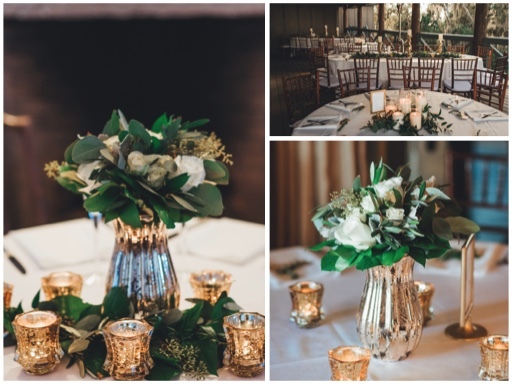 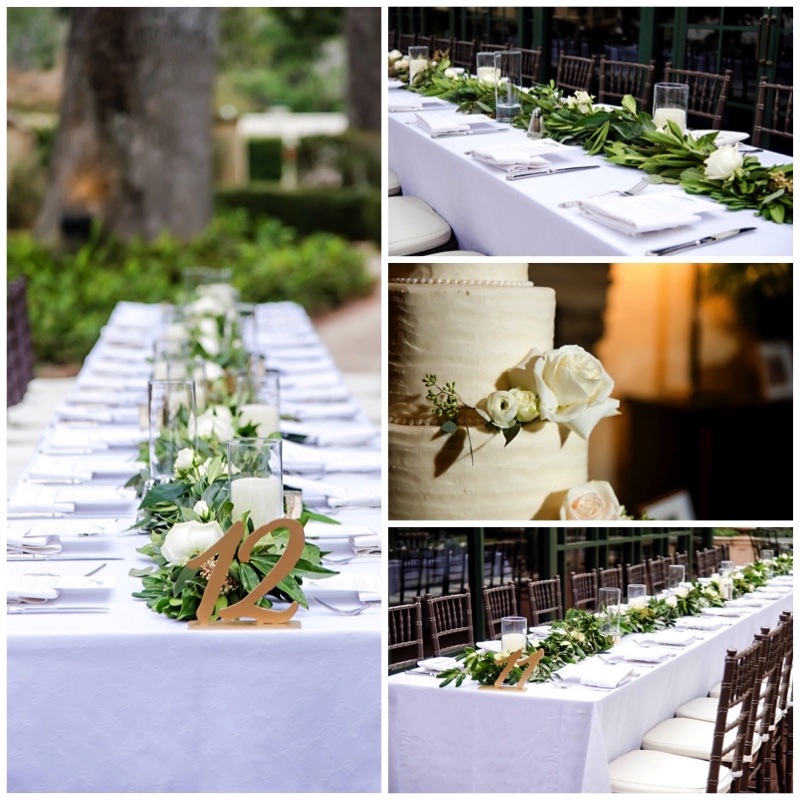 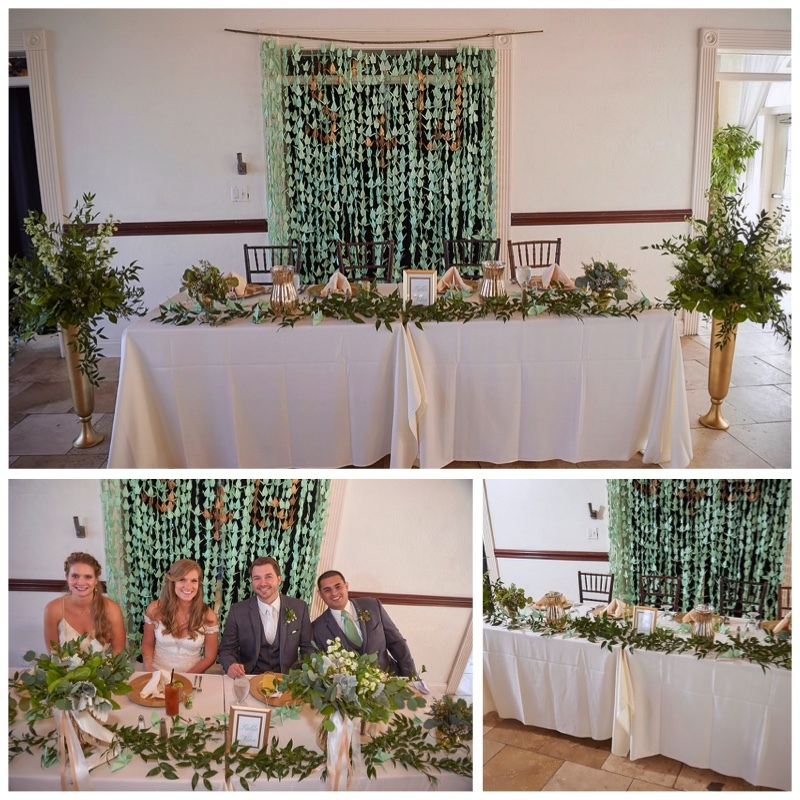 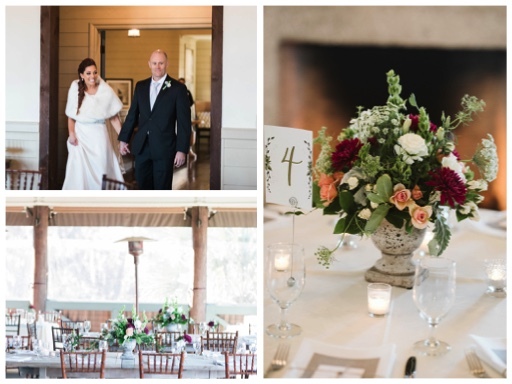 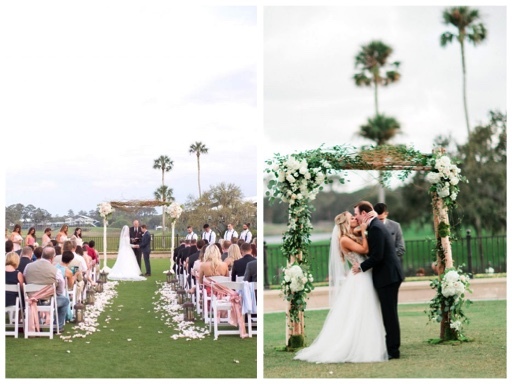 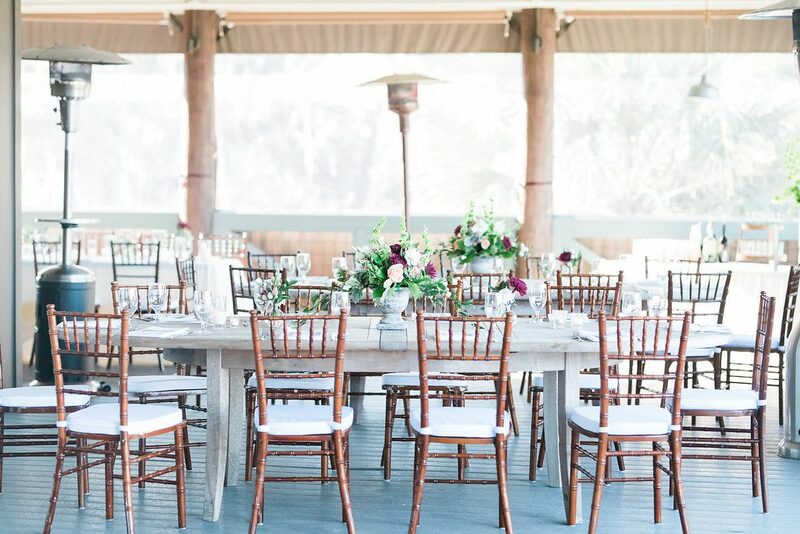 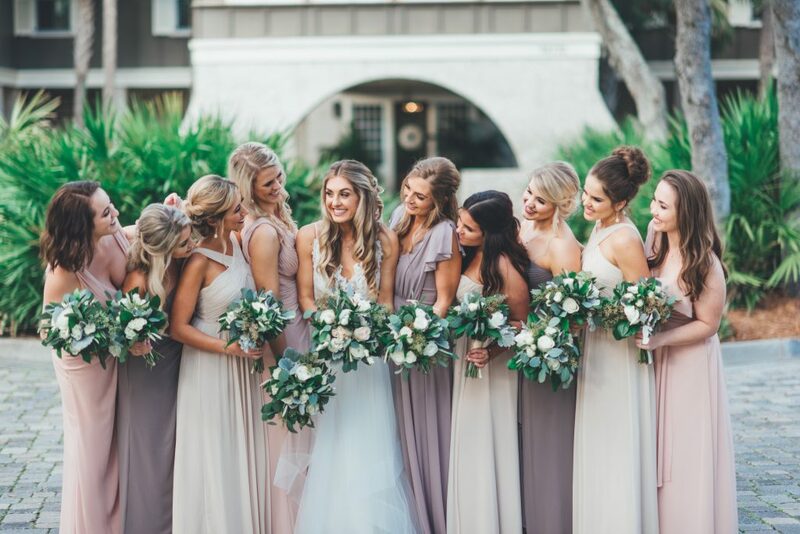 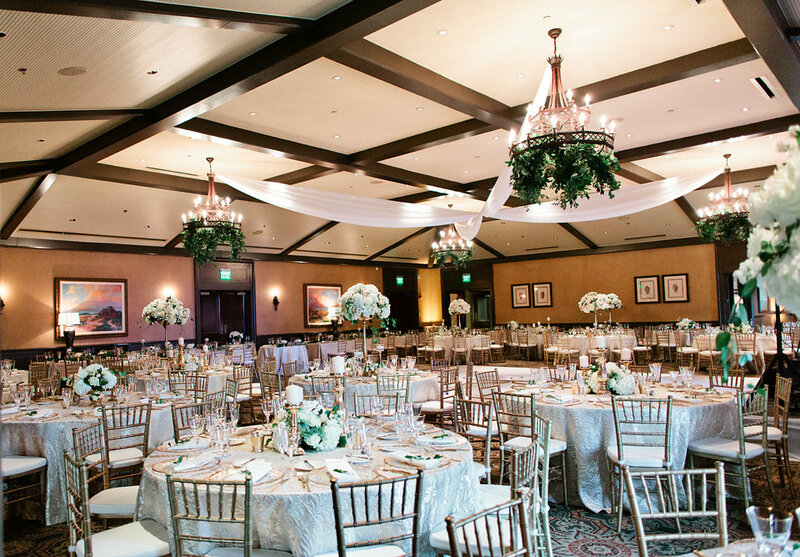 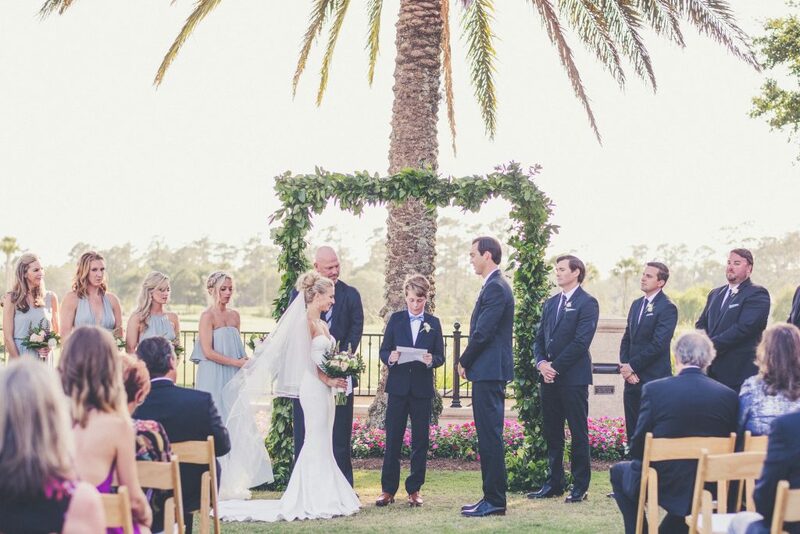 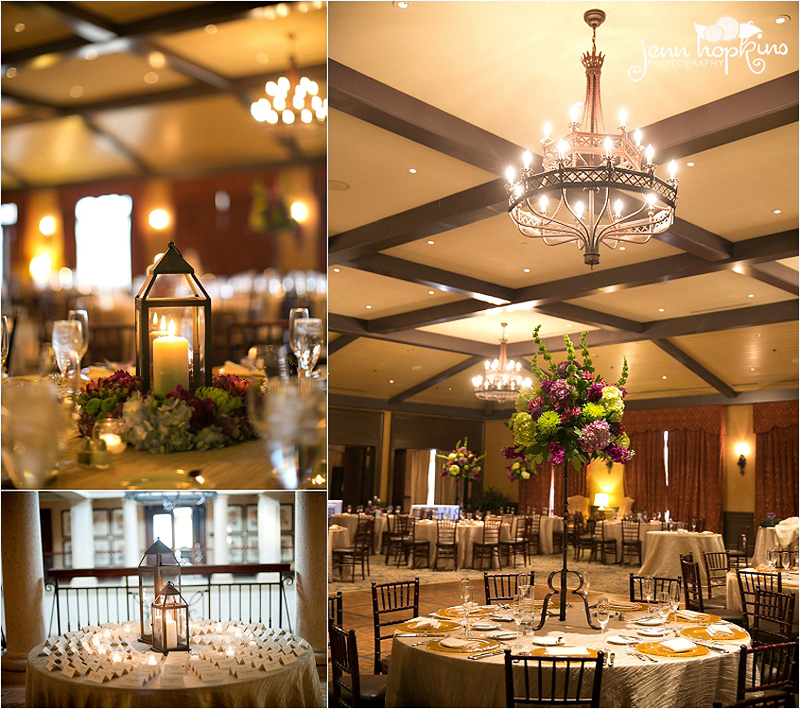 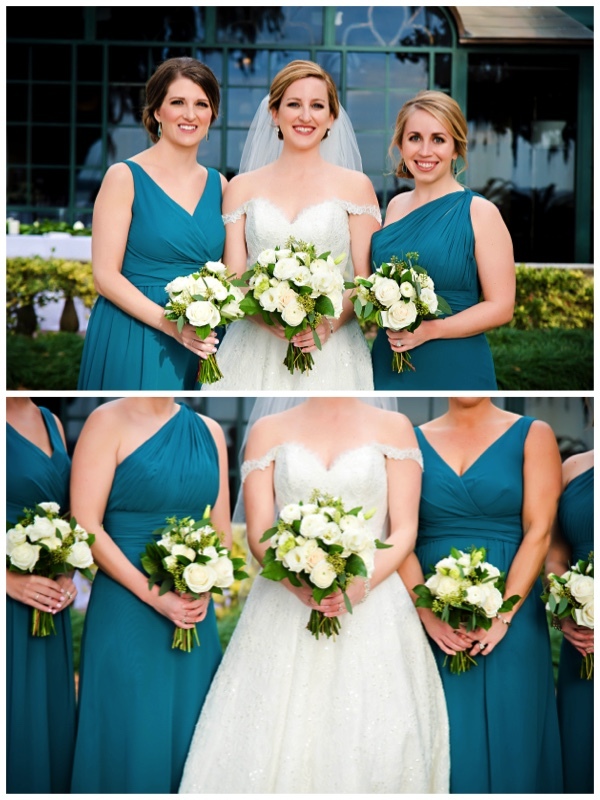 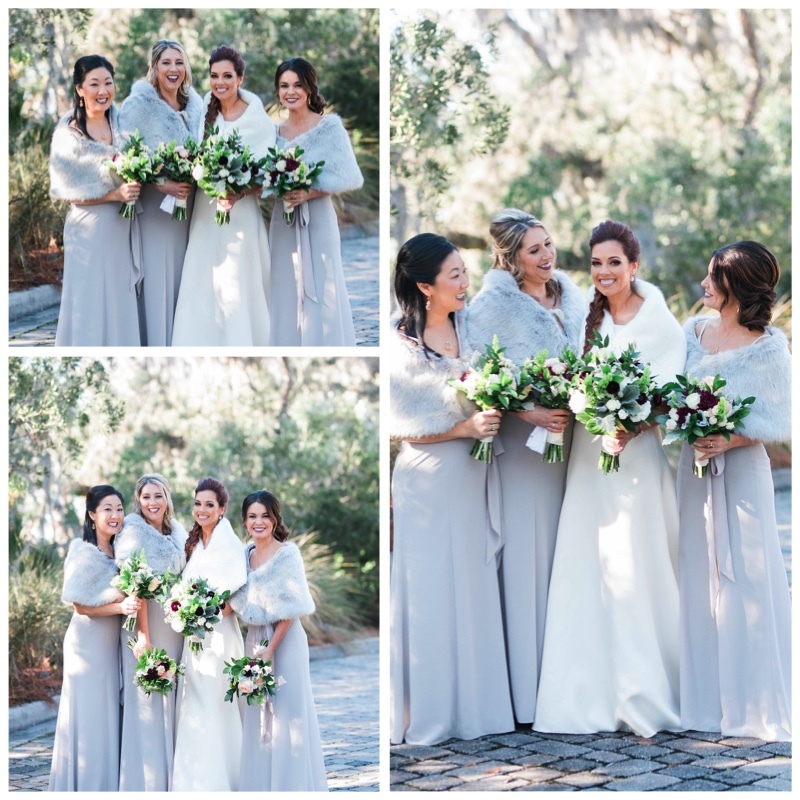 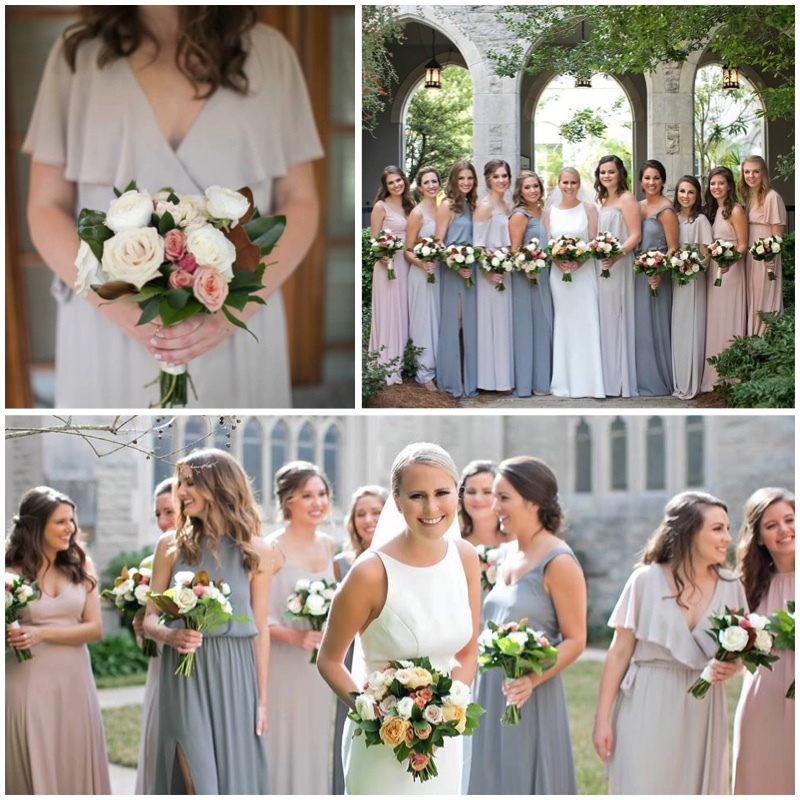 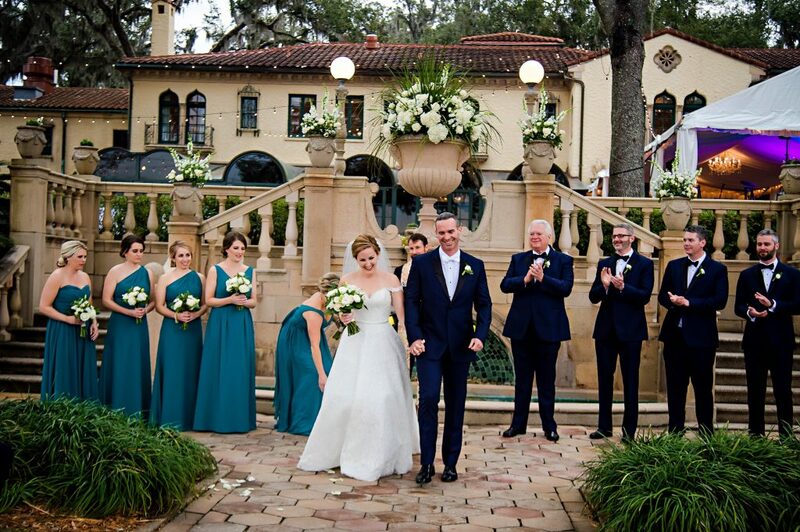 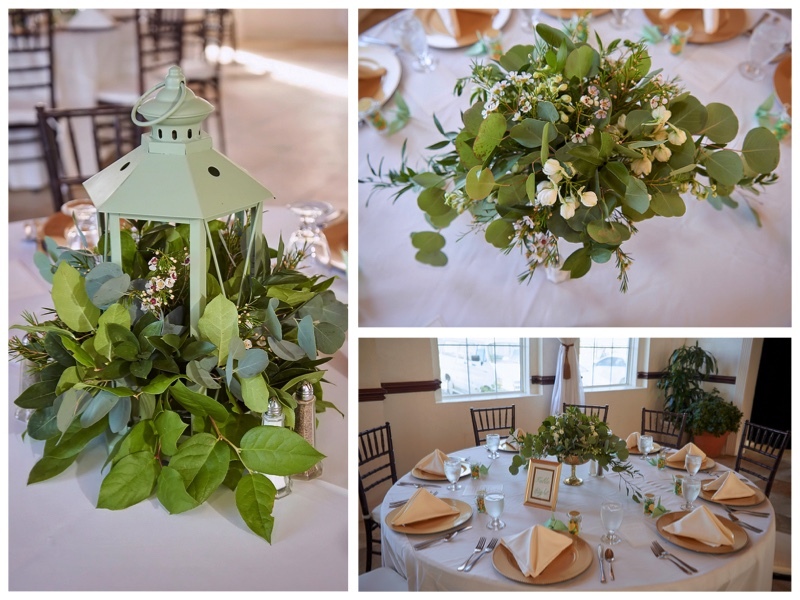 Natural, flowing greenry made this wedding simple yet stunning. 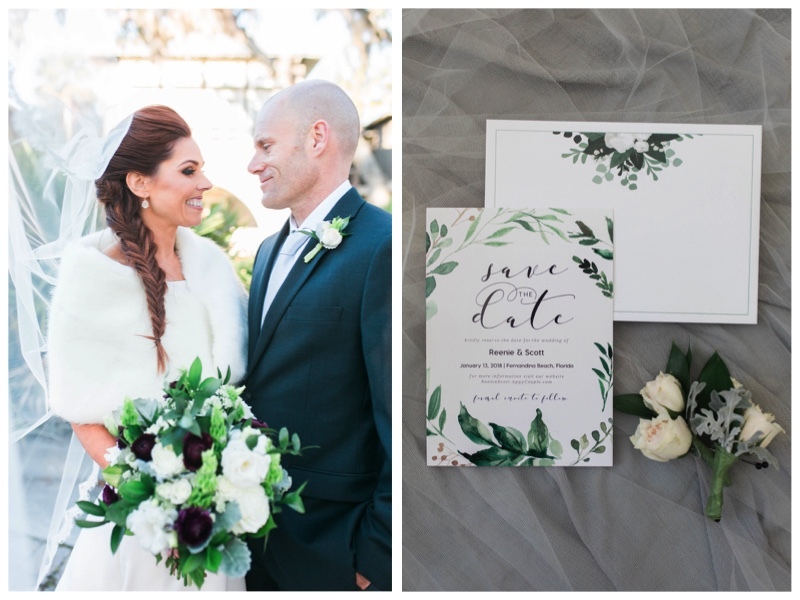 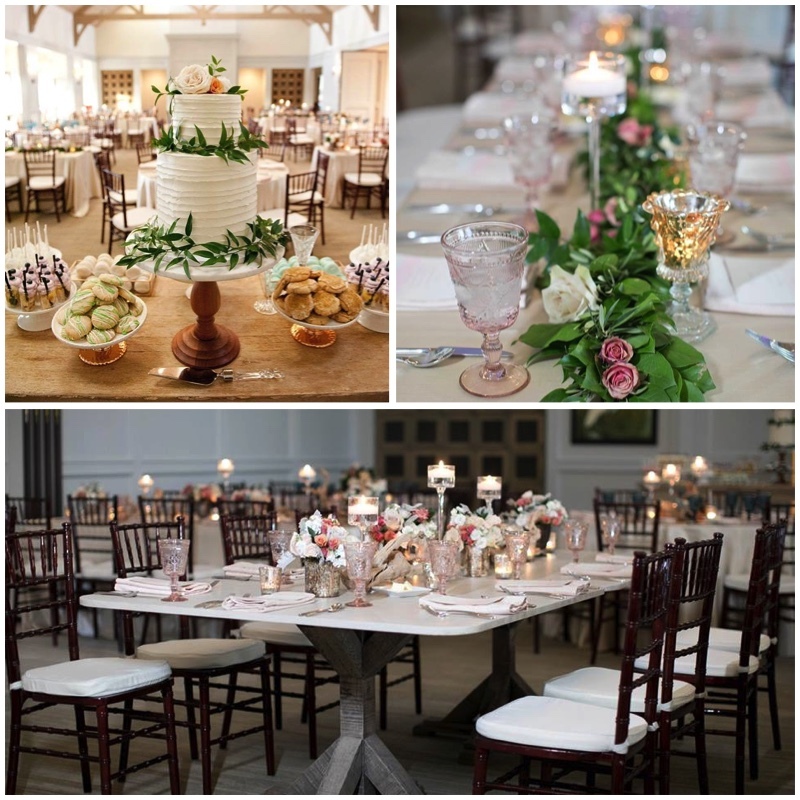 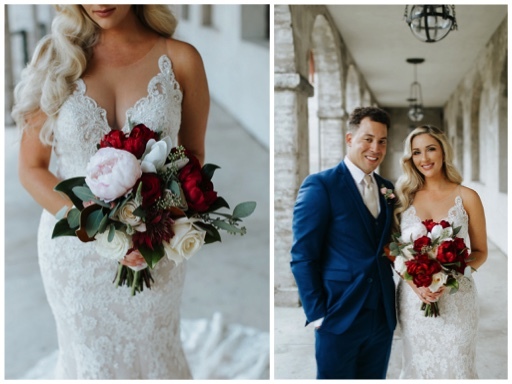 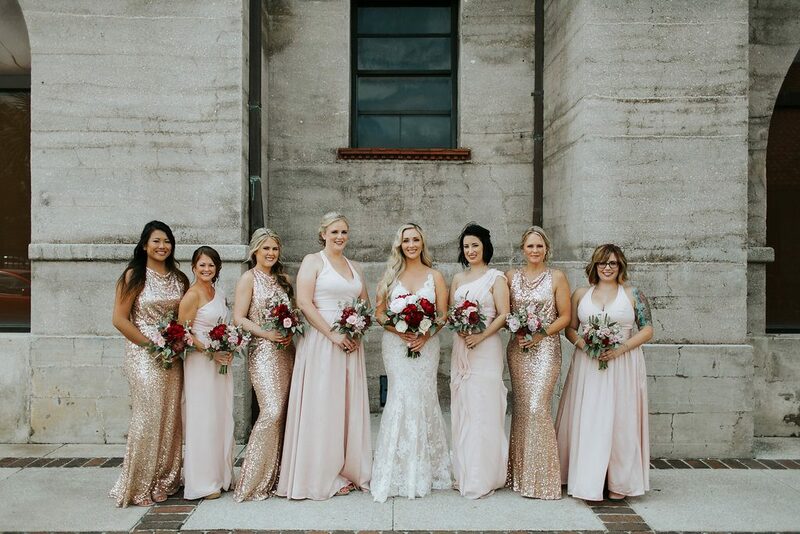 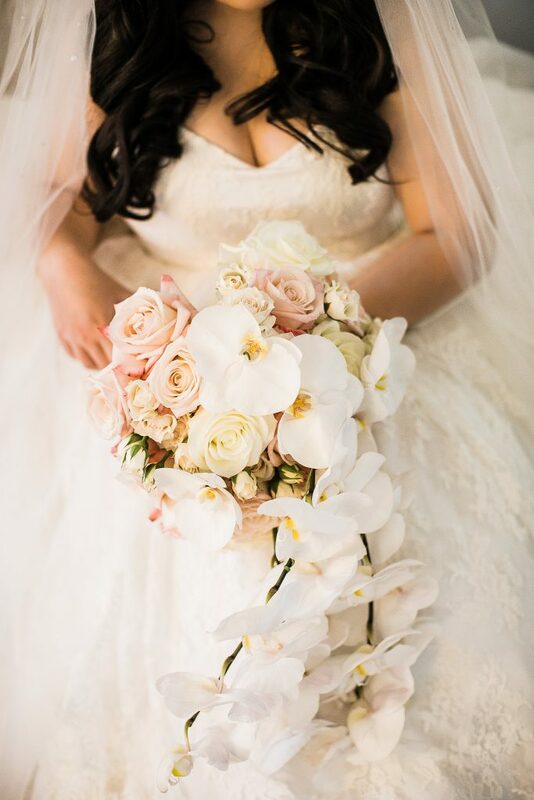 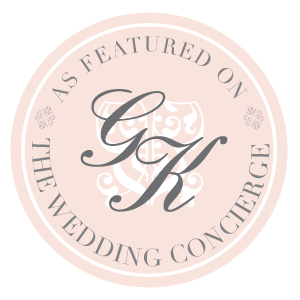 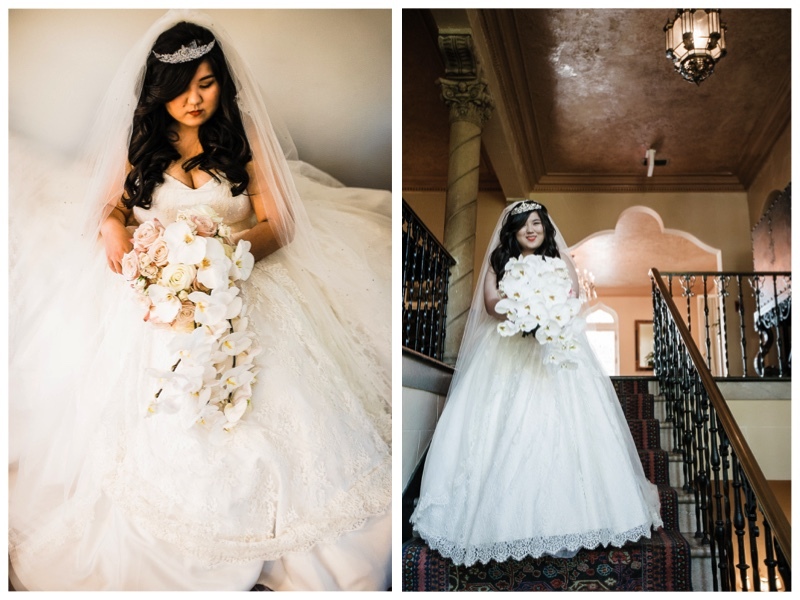 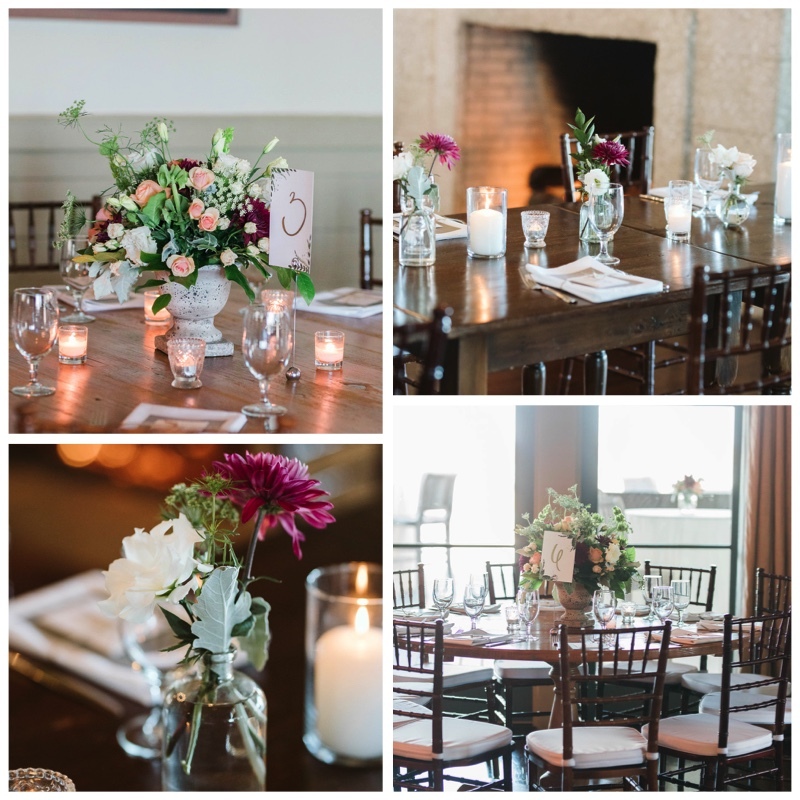 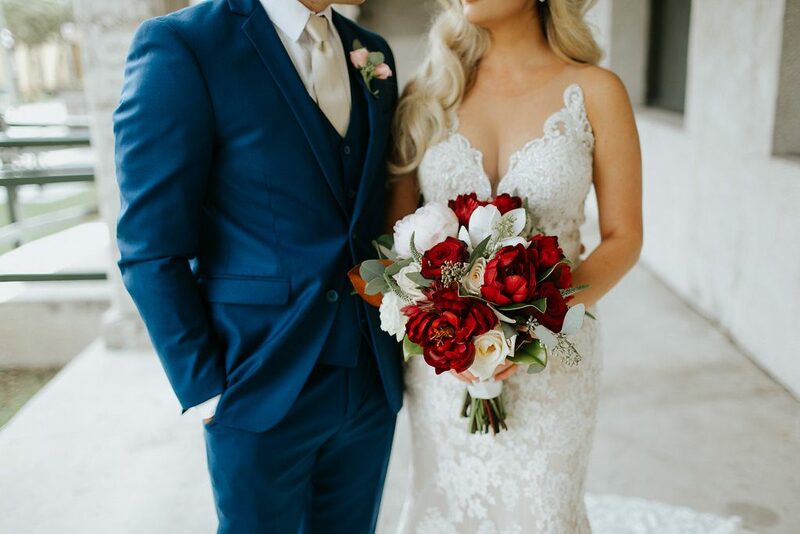 We loved working with Sarah and making her organic floral vision come to life on her big day! 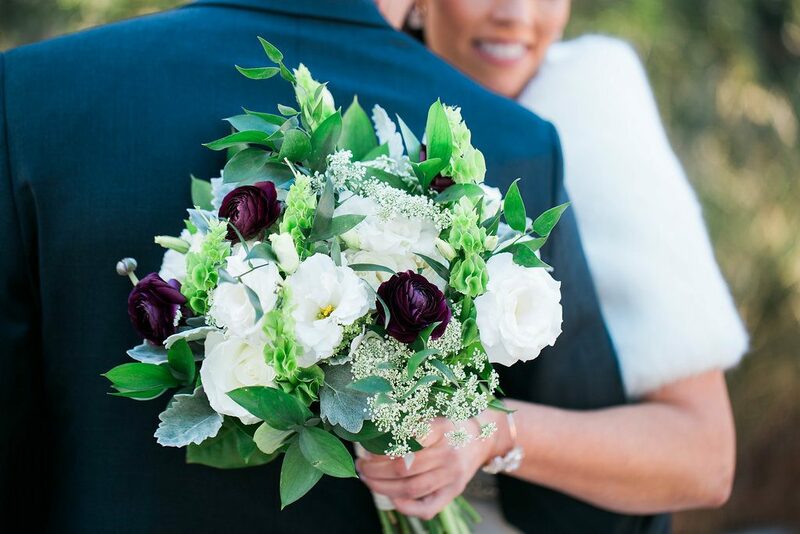 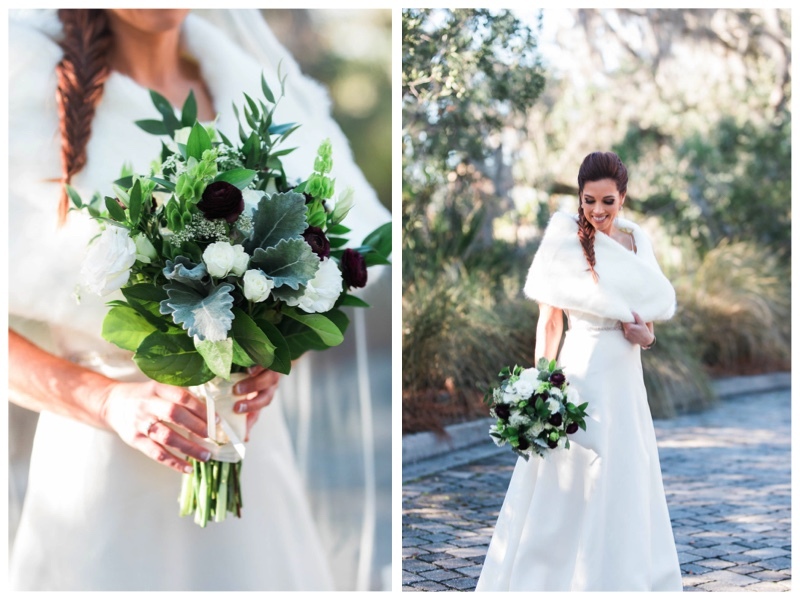 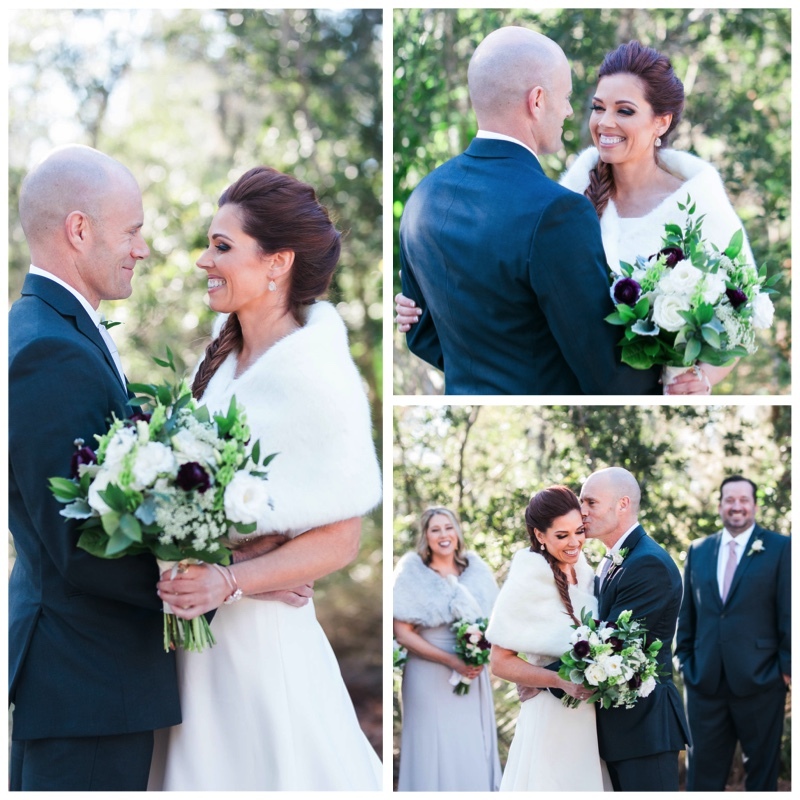 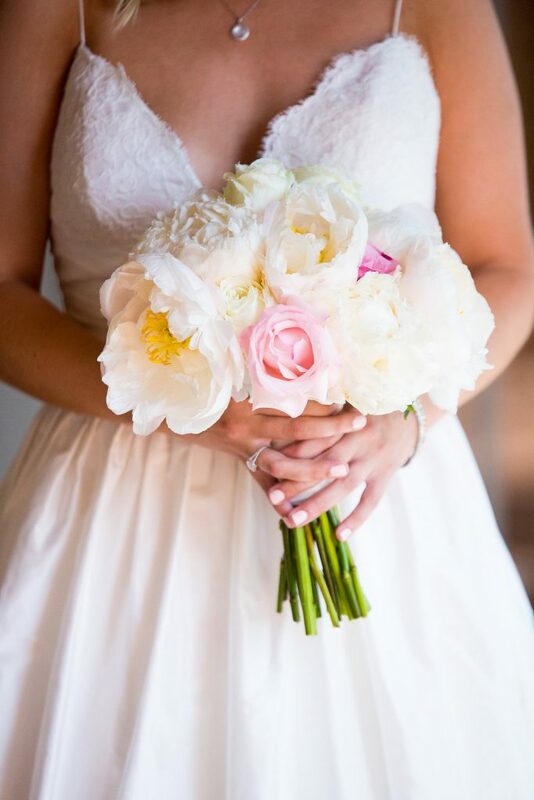 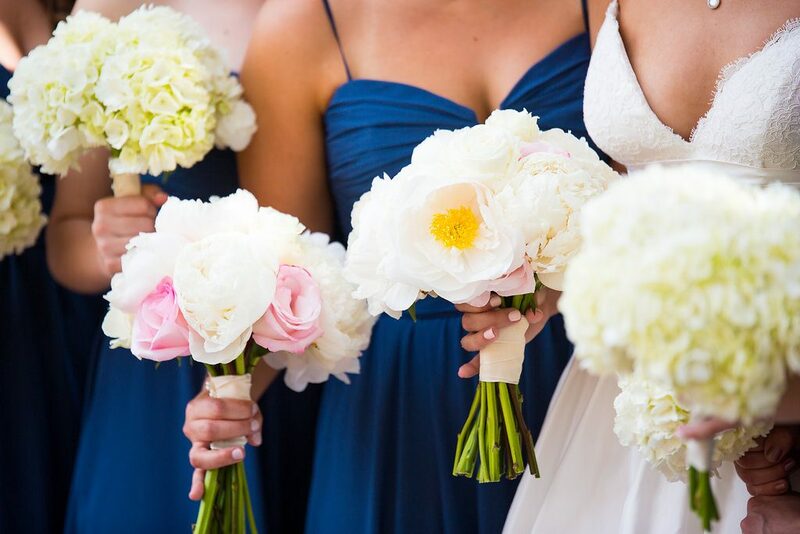 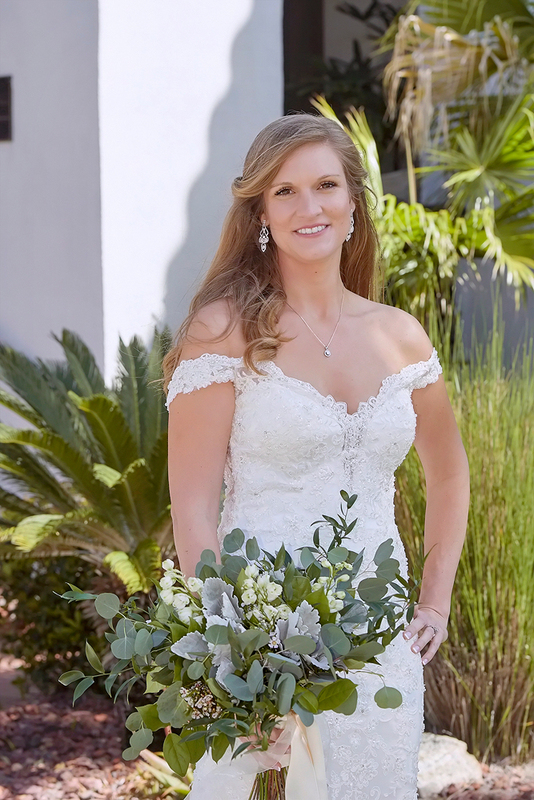 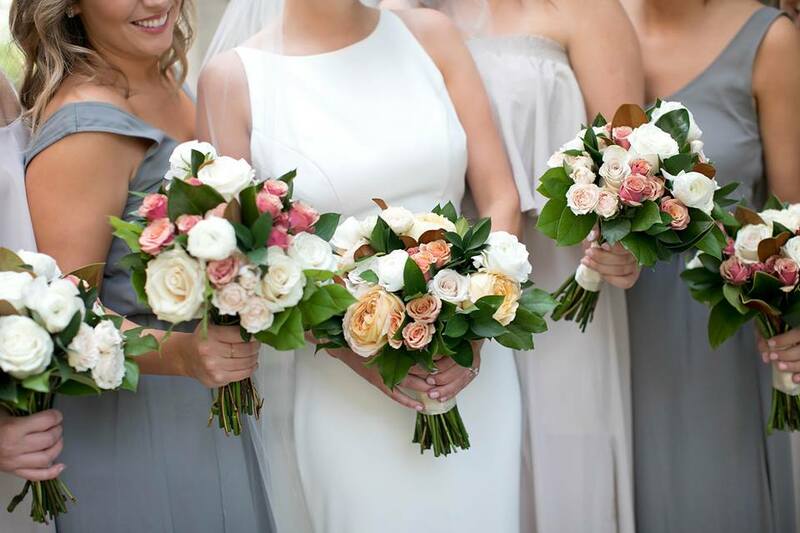 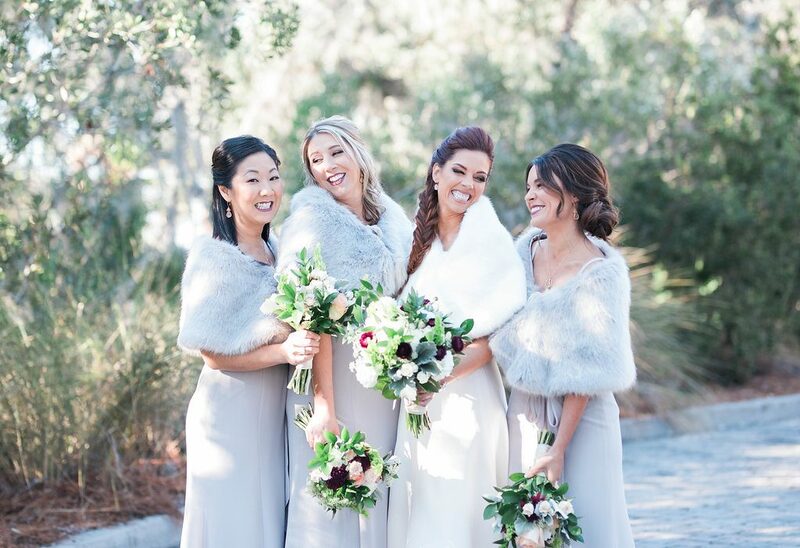 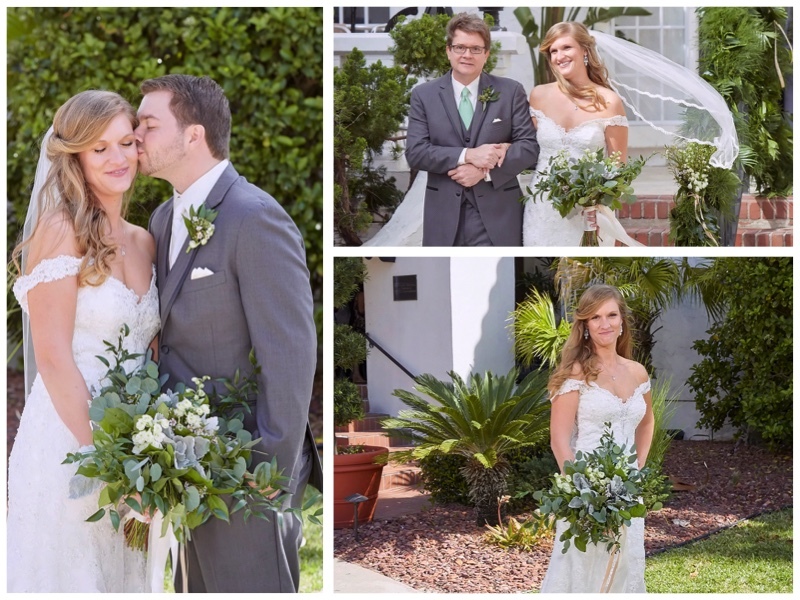 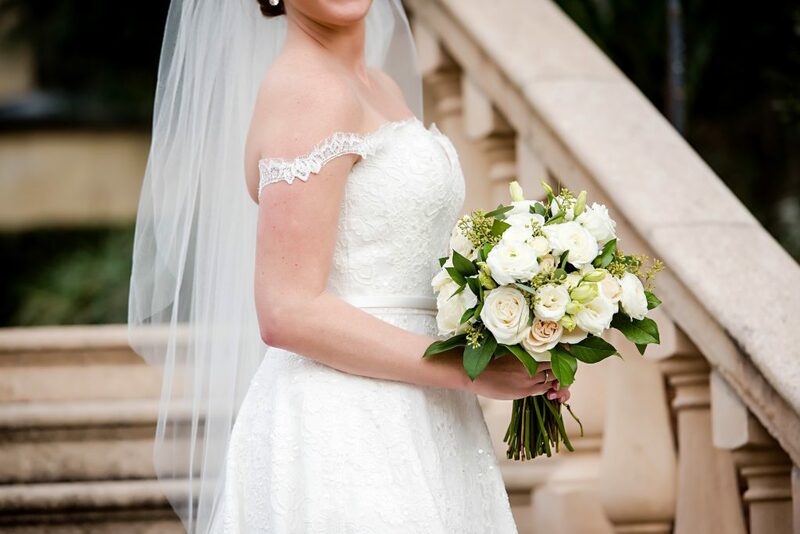 Sarah carried a textured bouquet of greenery with touches of white wax flower and larkspur. 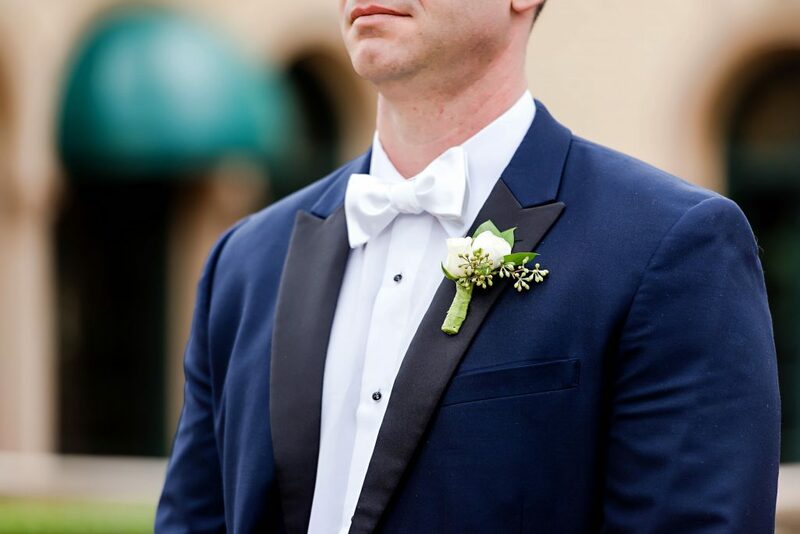 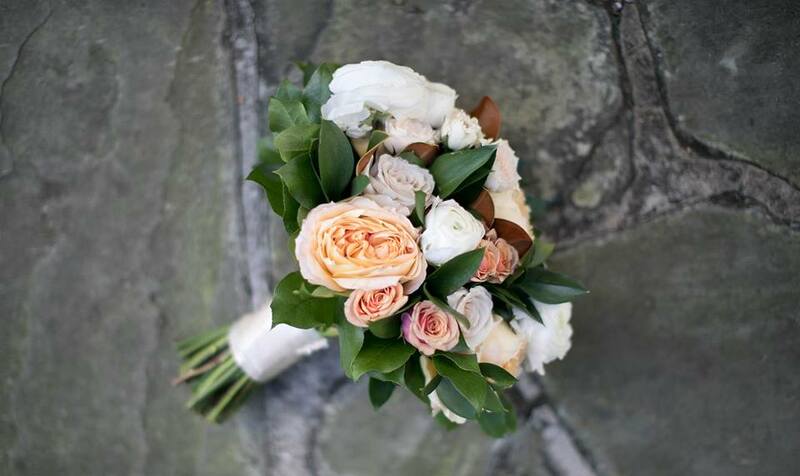 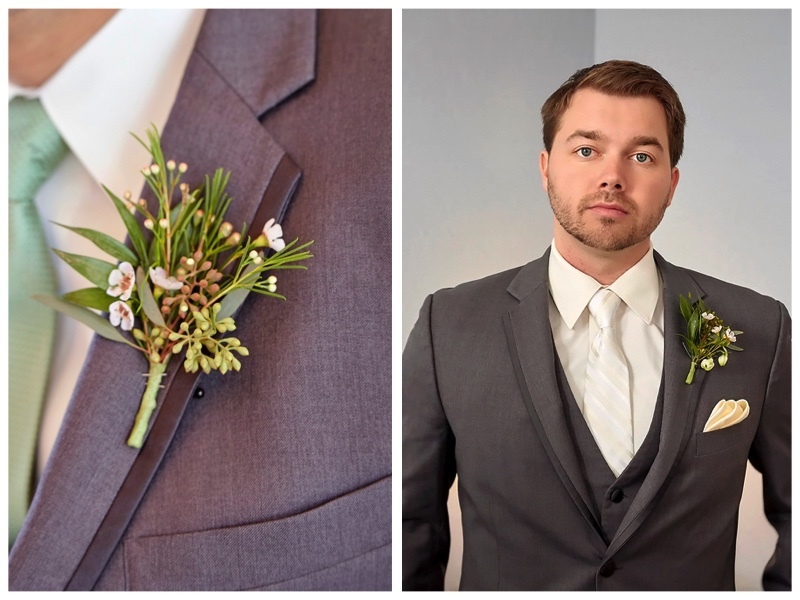 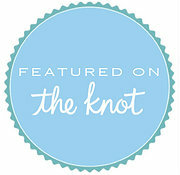 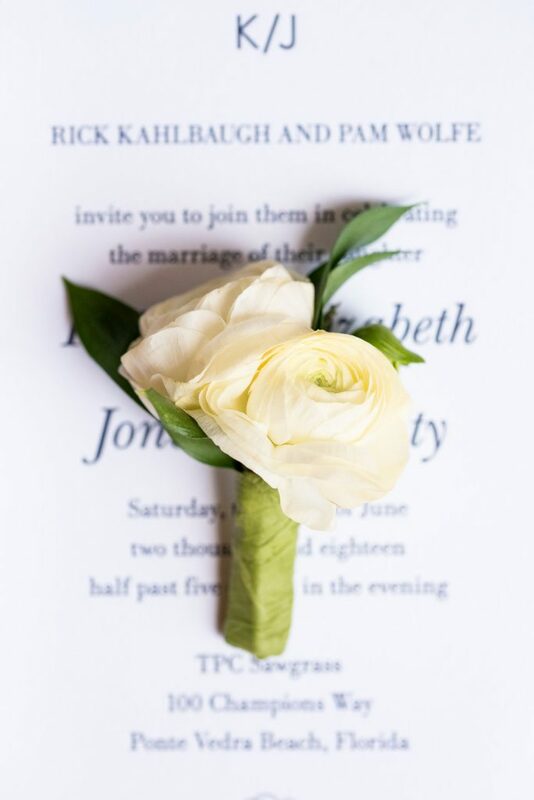 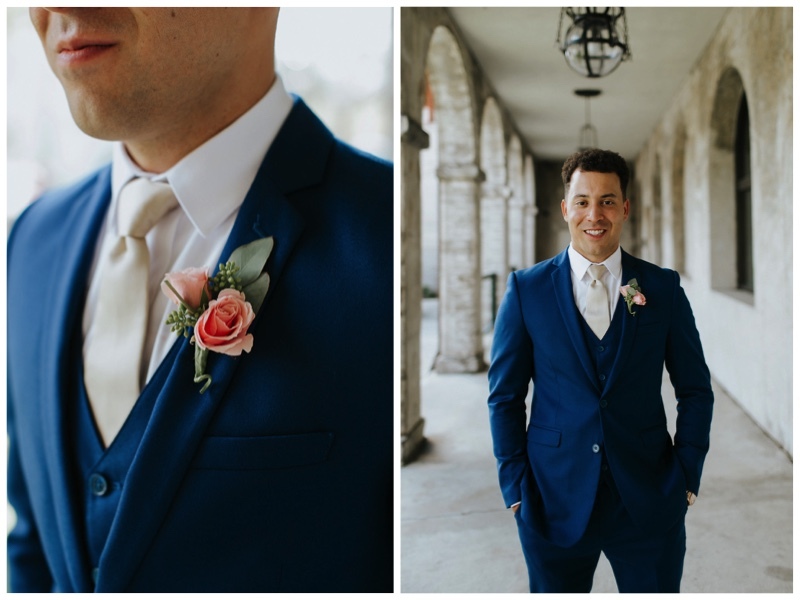 Will’s boutonniere was created with mixed foliage and white wax flowers. 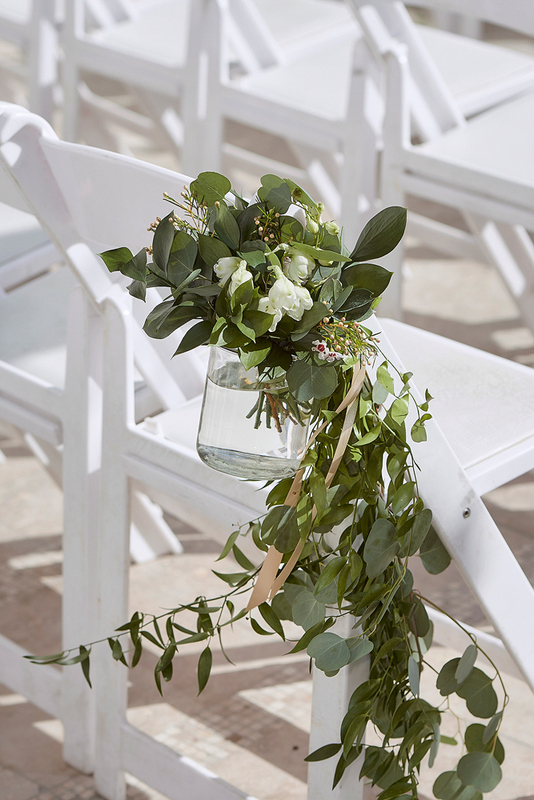 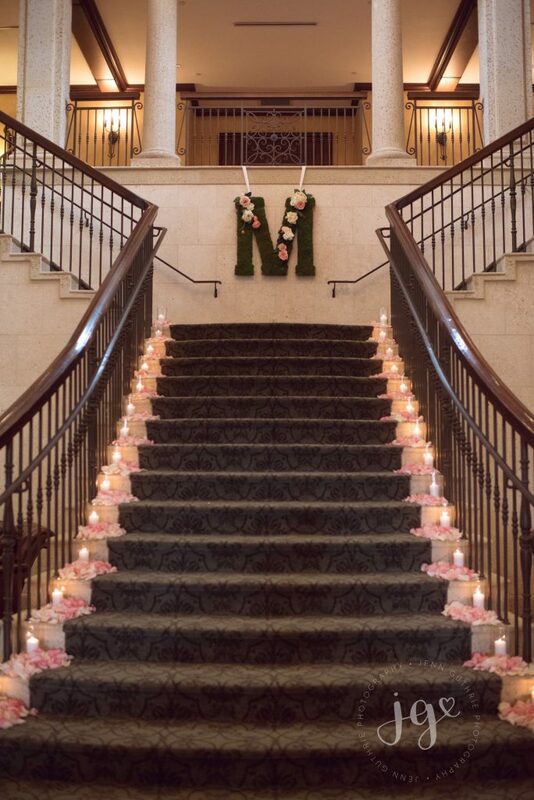 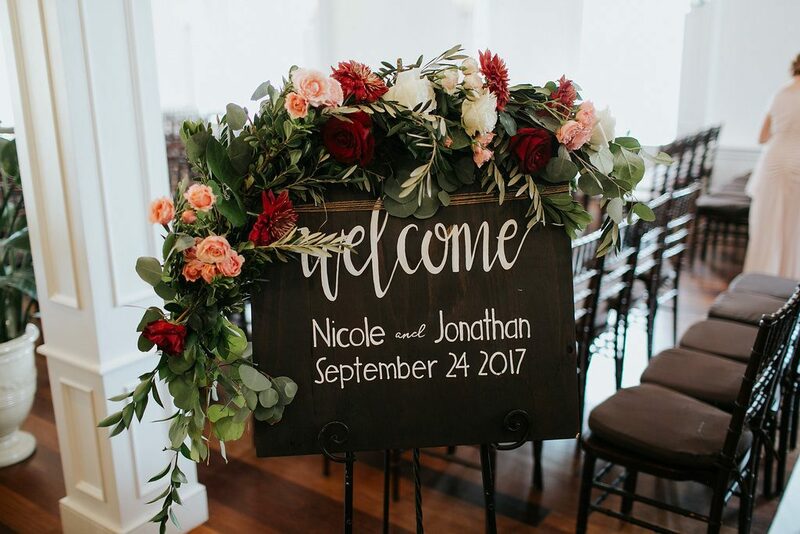 Hanging vases filled with greenery made beautiful aisle markers for this natural wedding. 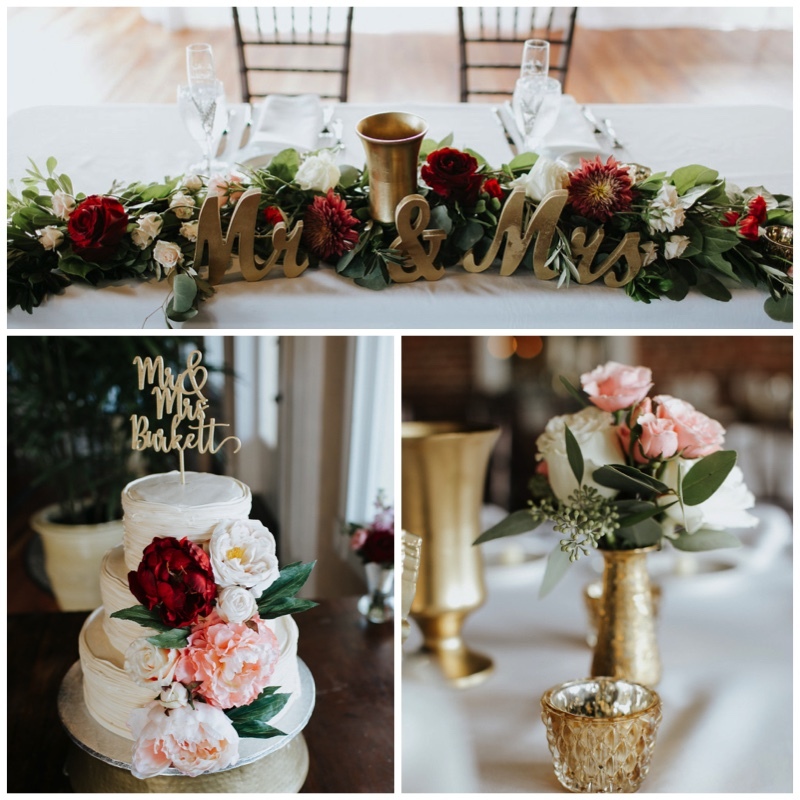 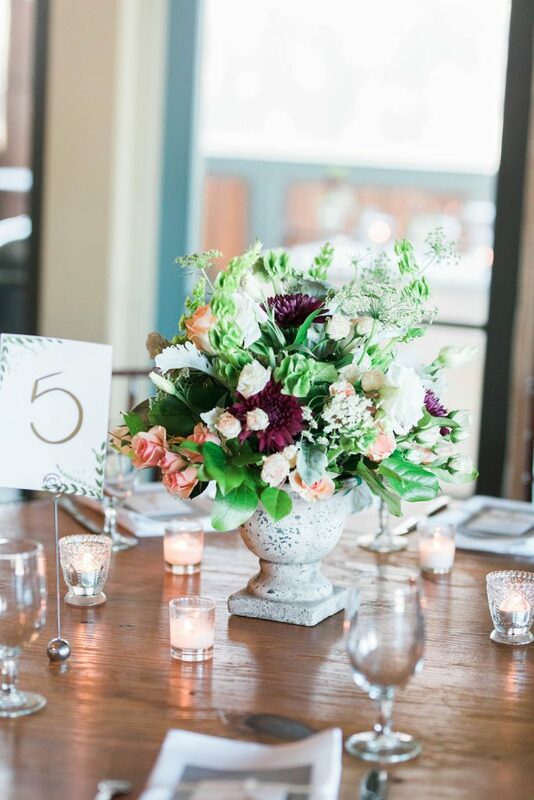 The reception had a mix of centerpieces. 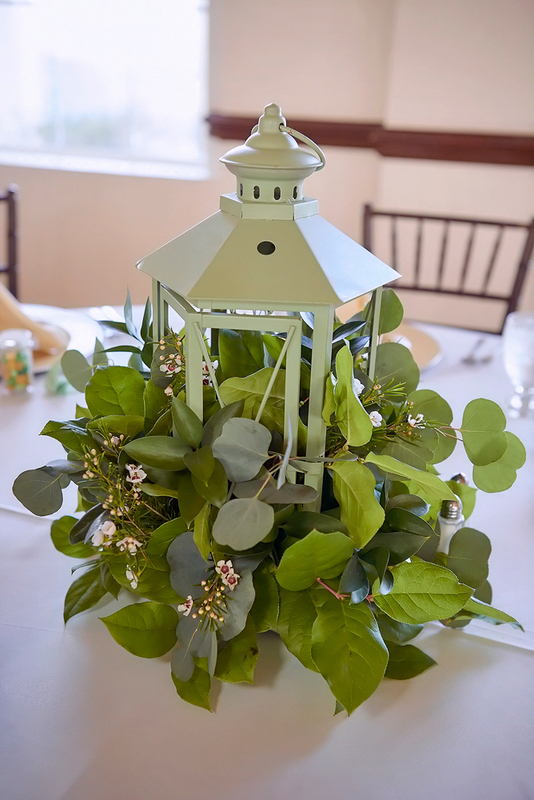 Some tables had lanterns , other tables had asymetrical arrangments or composite arraignments. 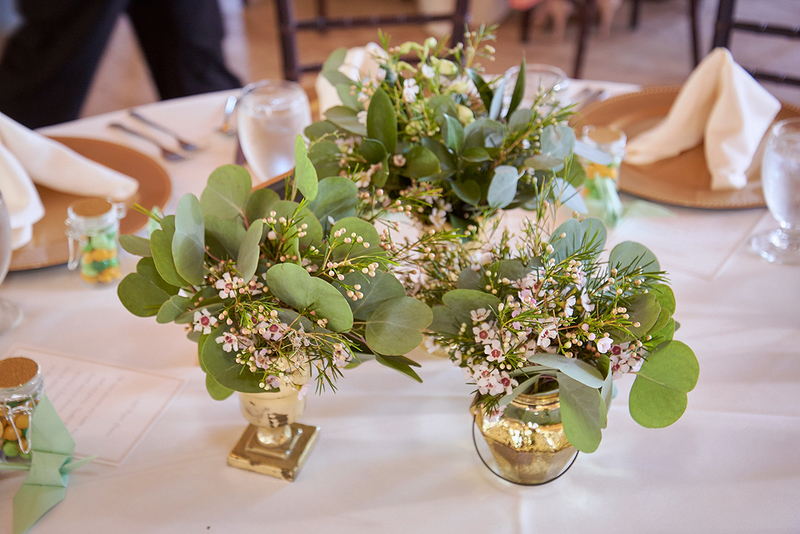 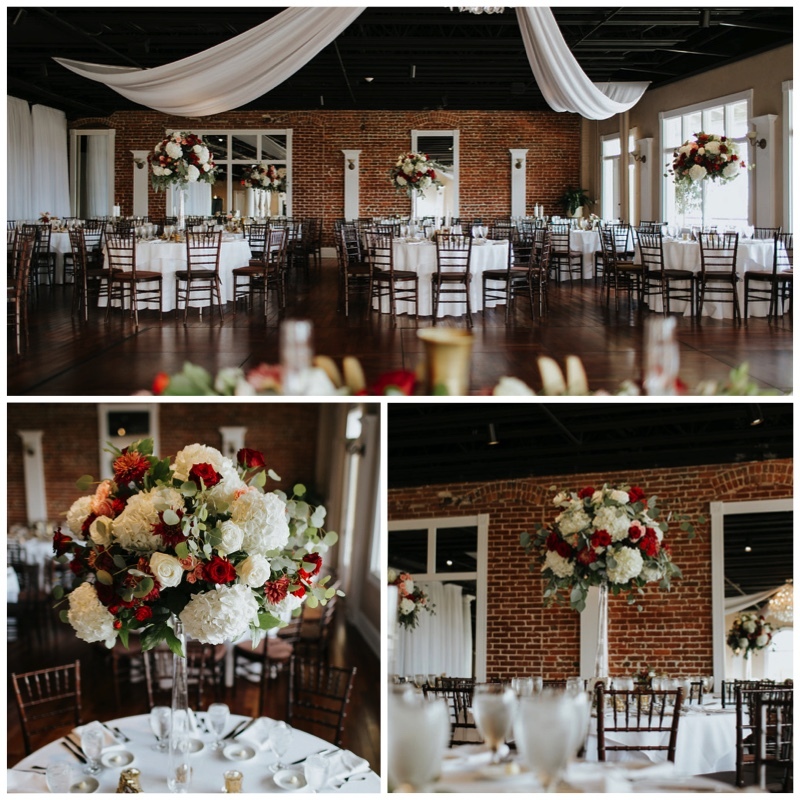 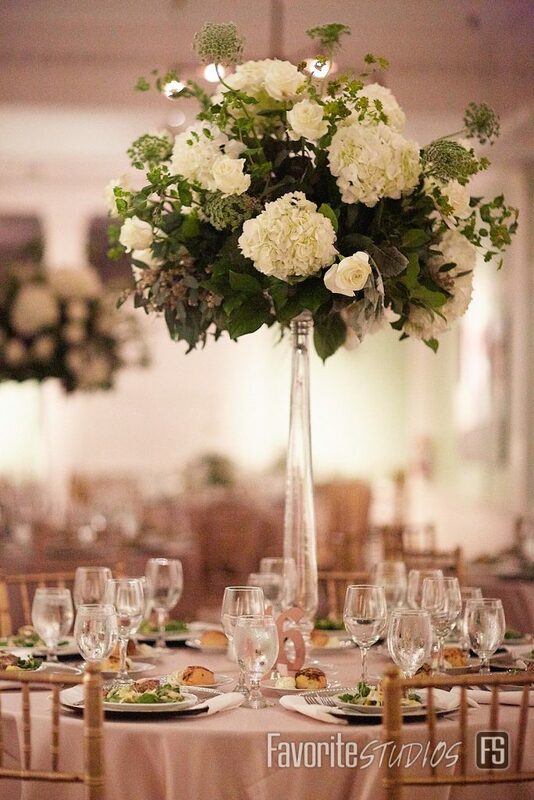 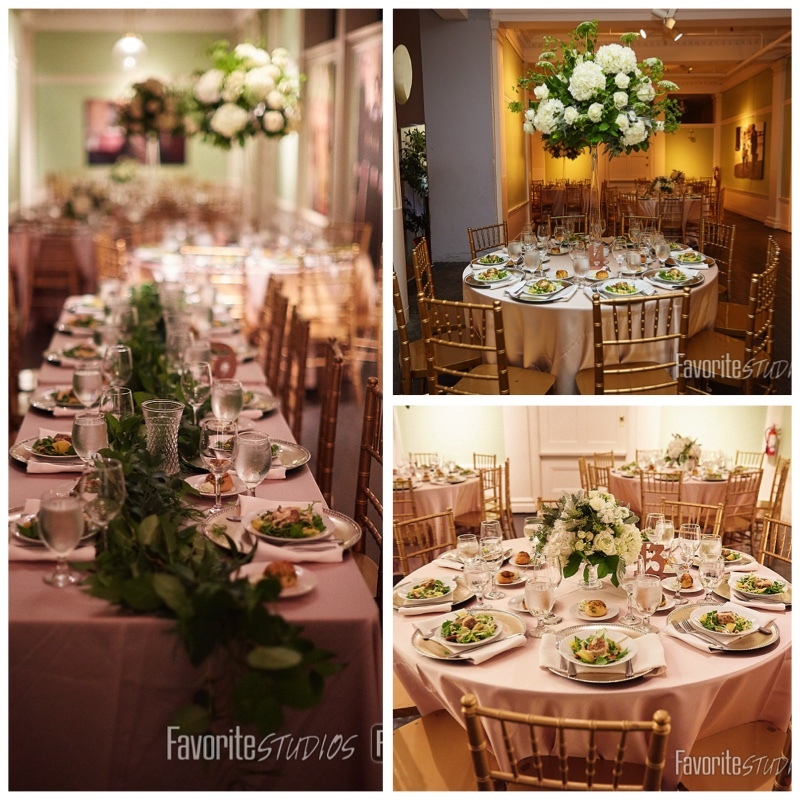 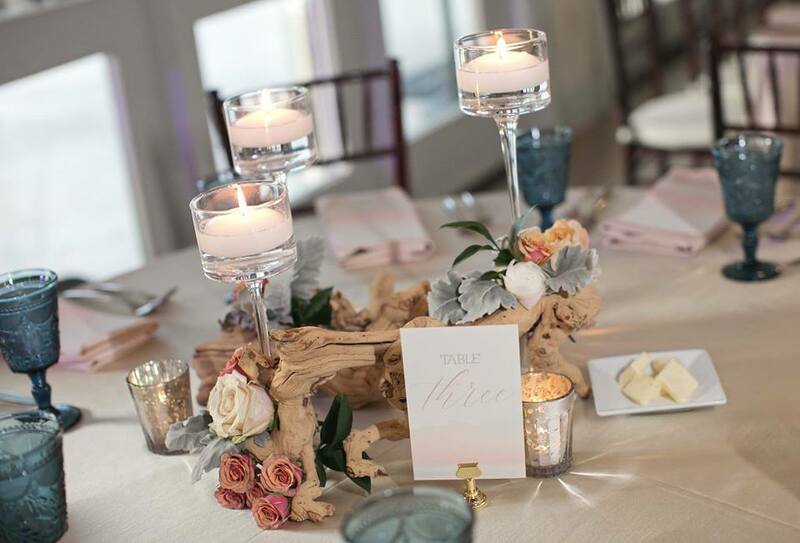 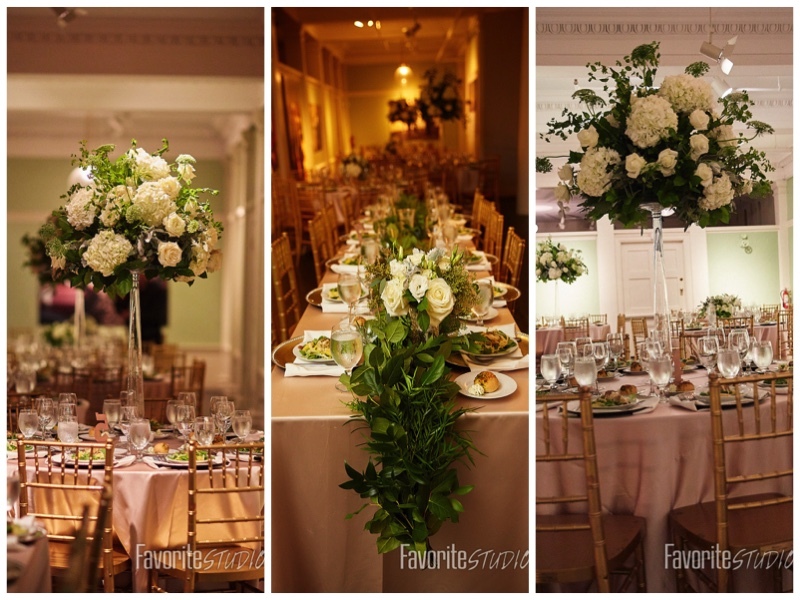 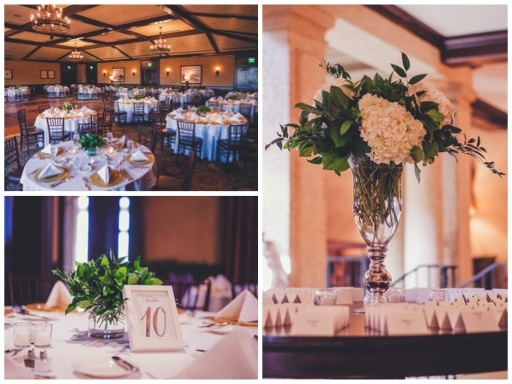 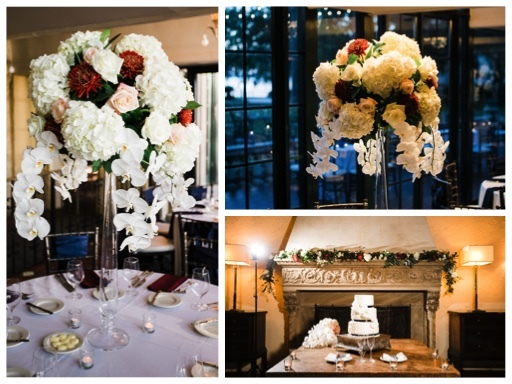 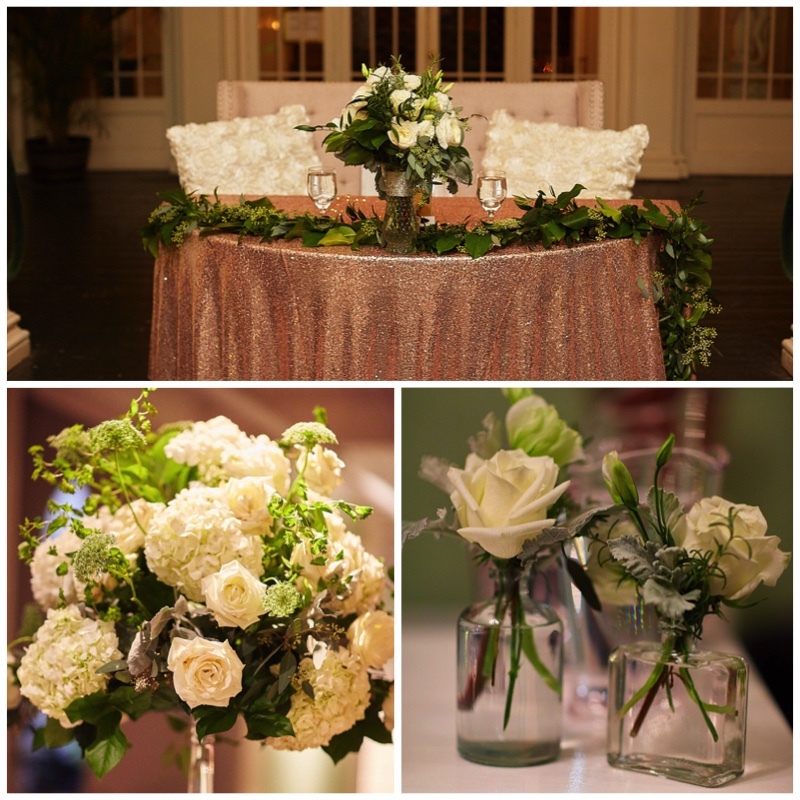 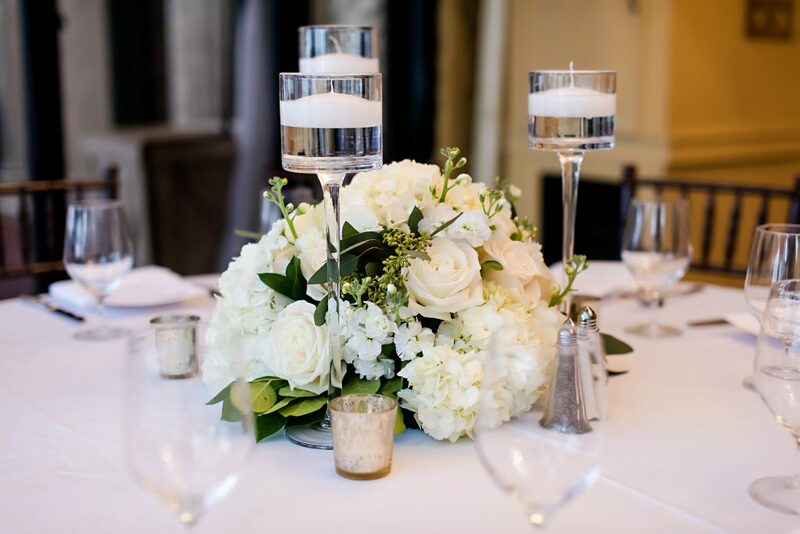 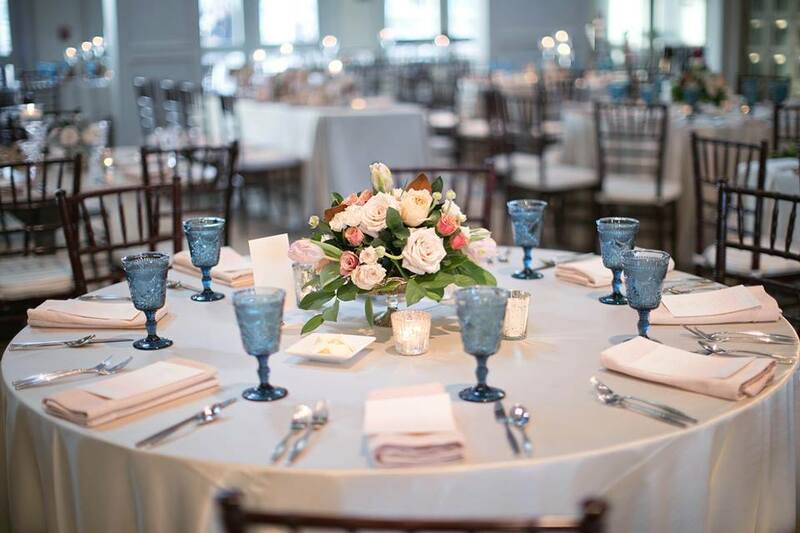 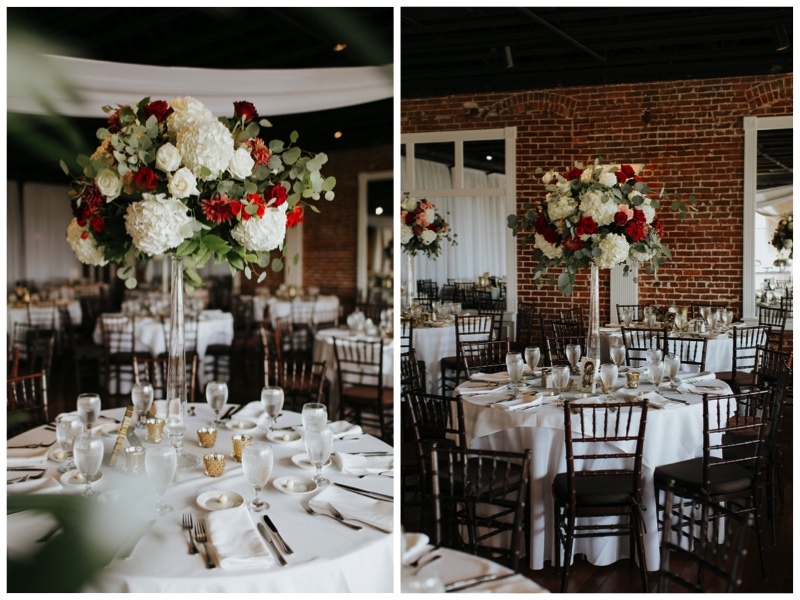 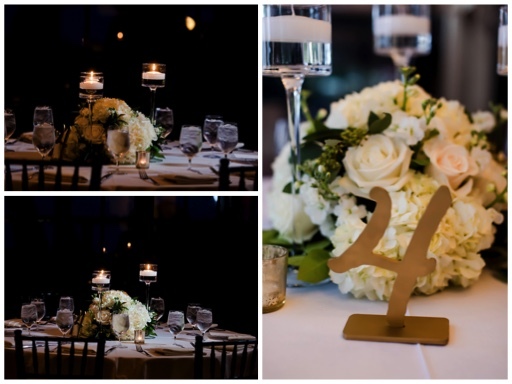 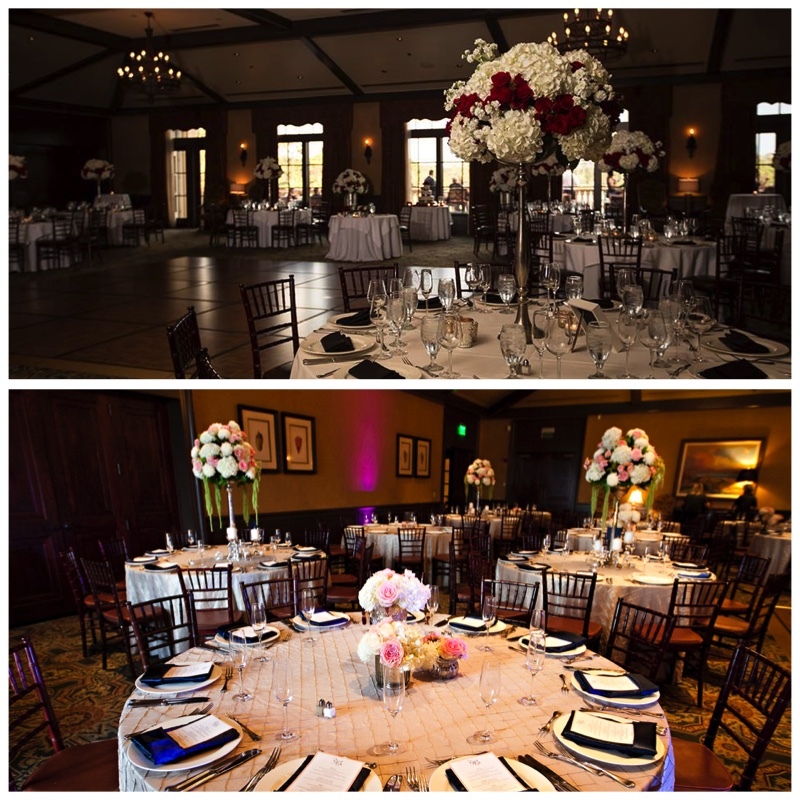 All of the centerpieces were created using green foliage and white flowers. 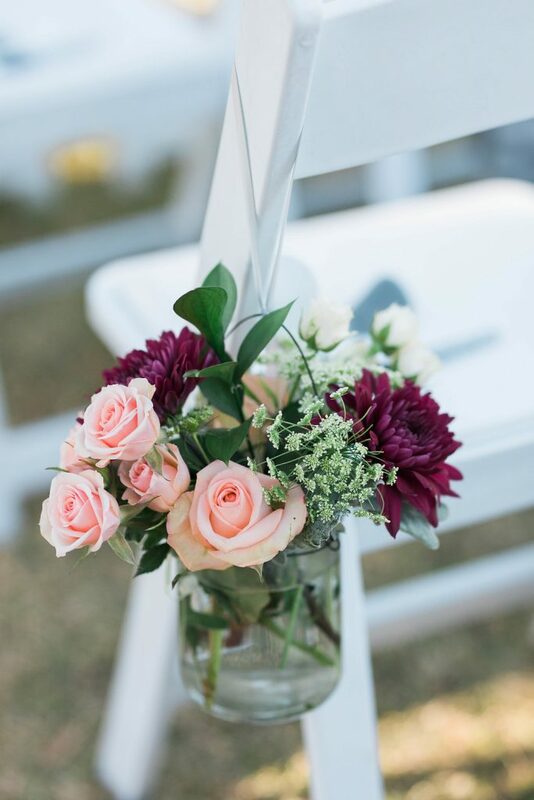 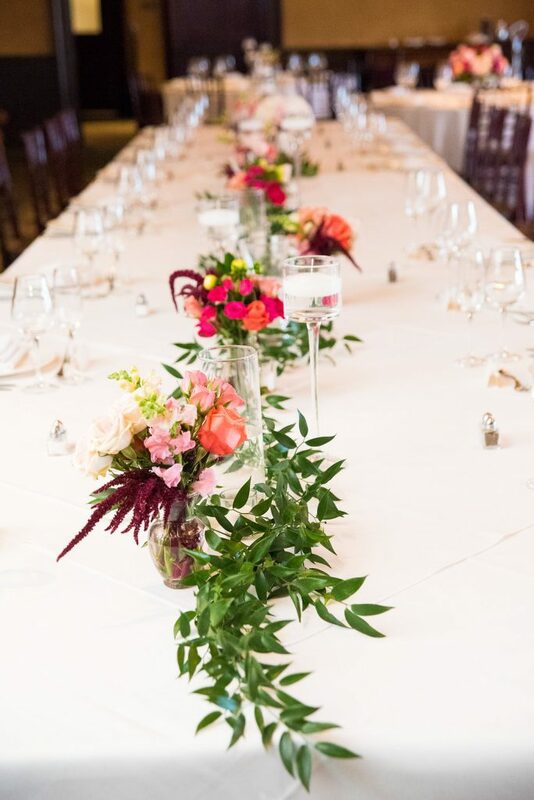 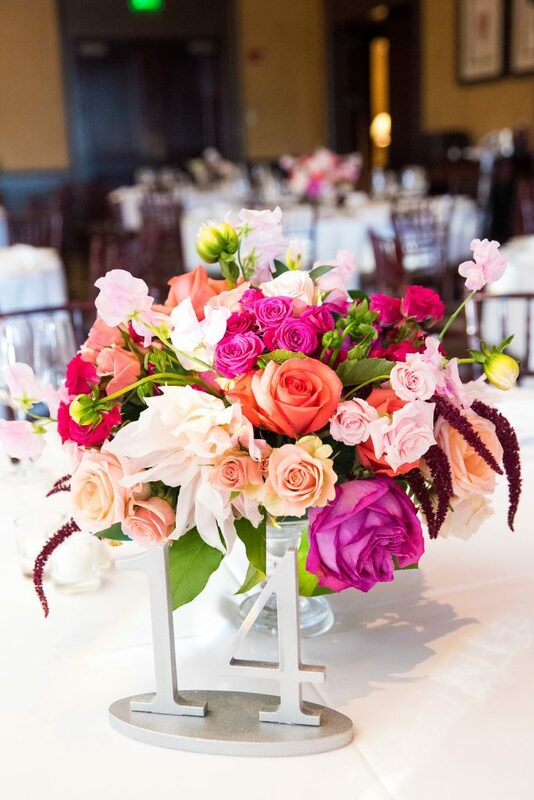 The head table had vases that held the bouquets. 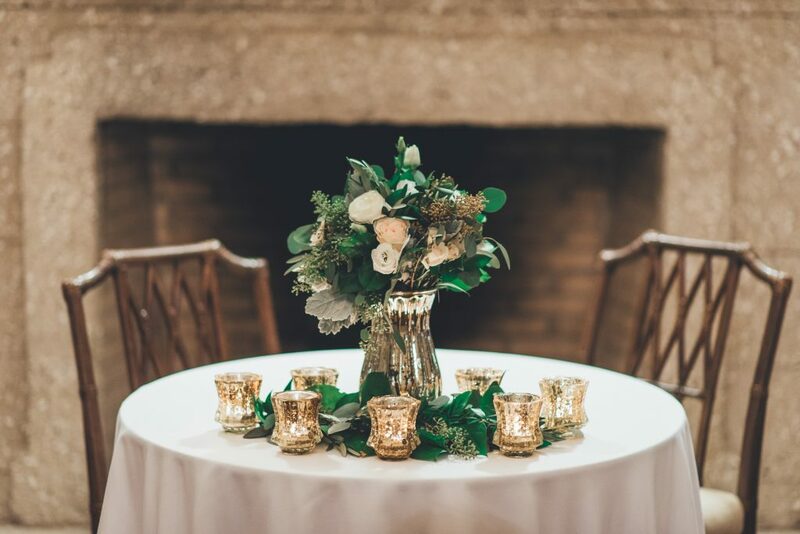 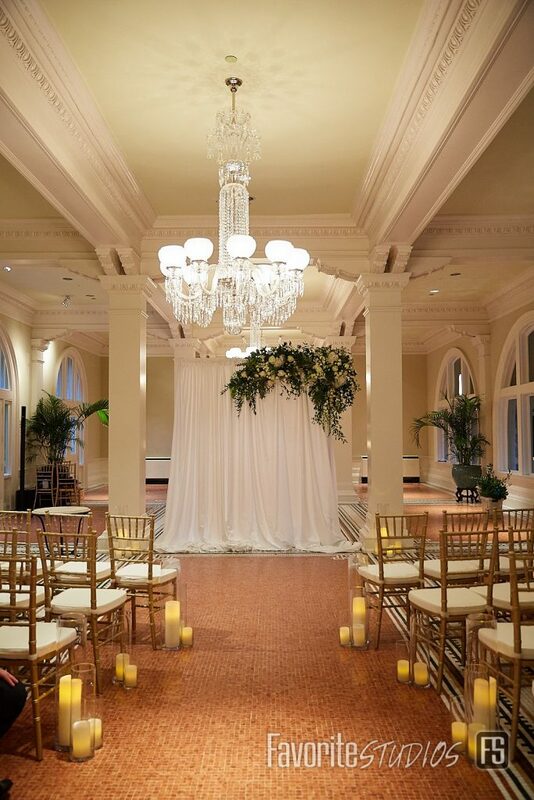 Greenery was placed between the vases.